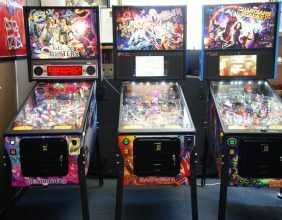 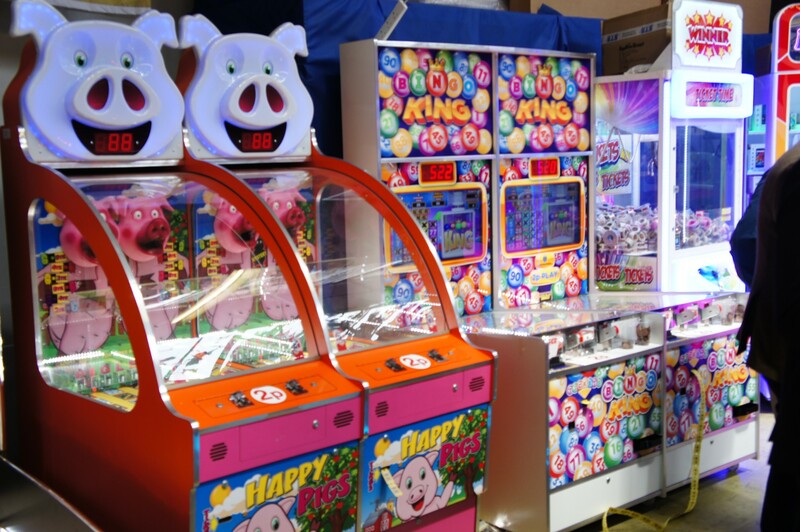 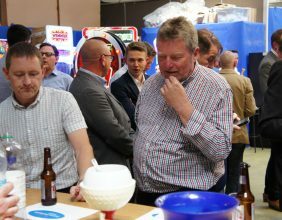 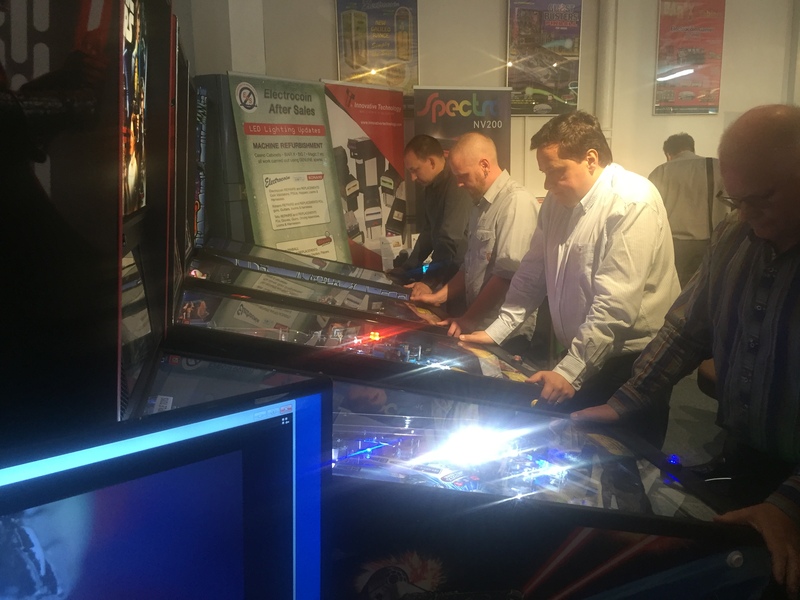 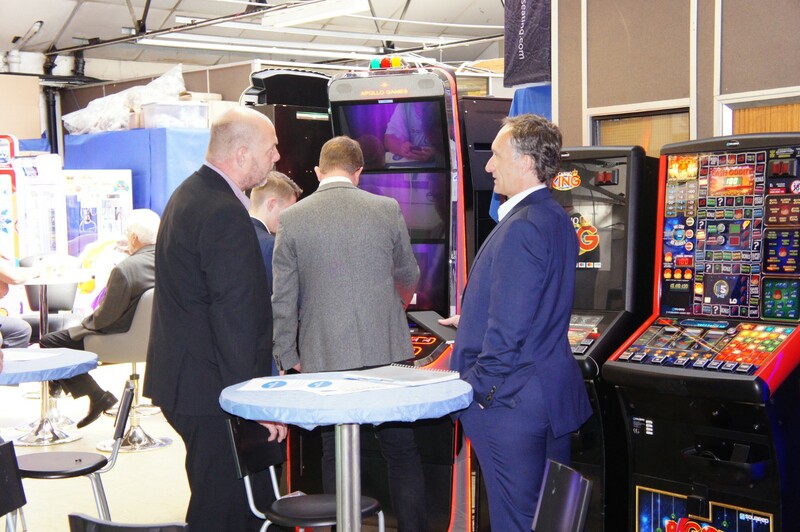 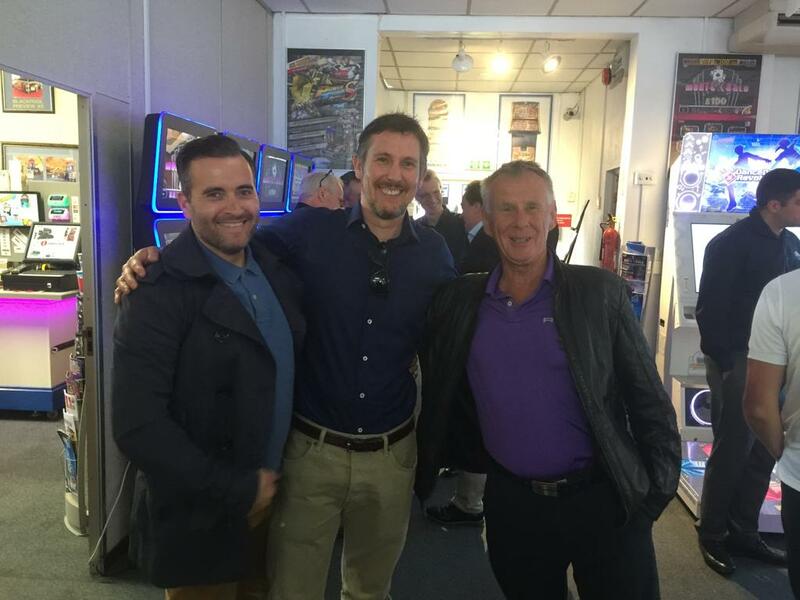 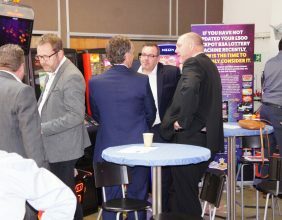 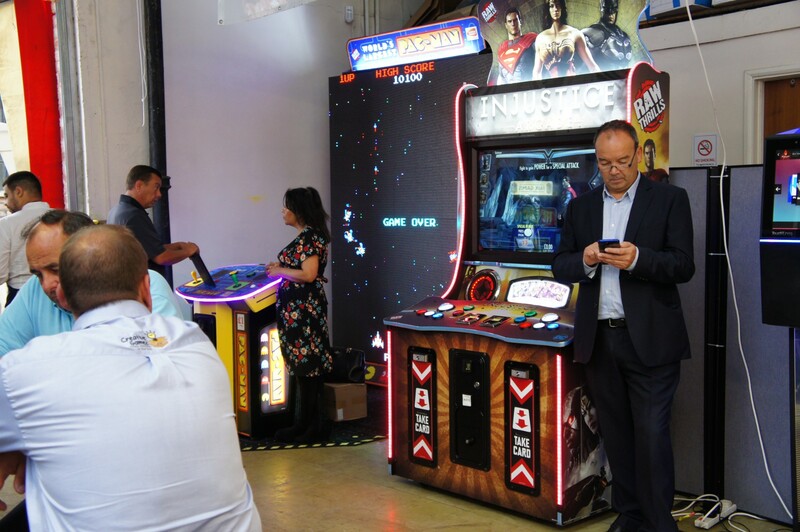 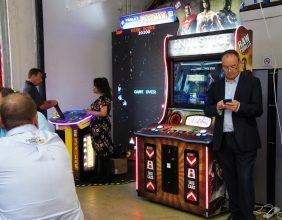 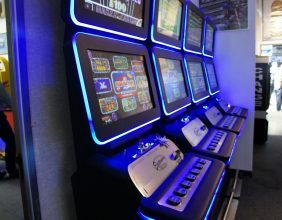 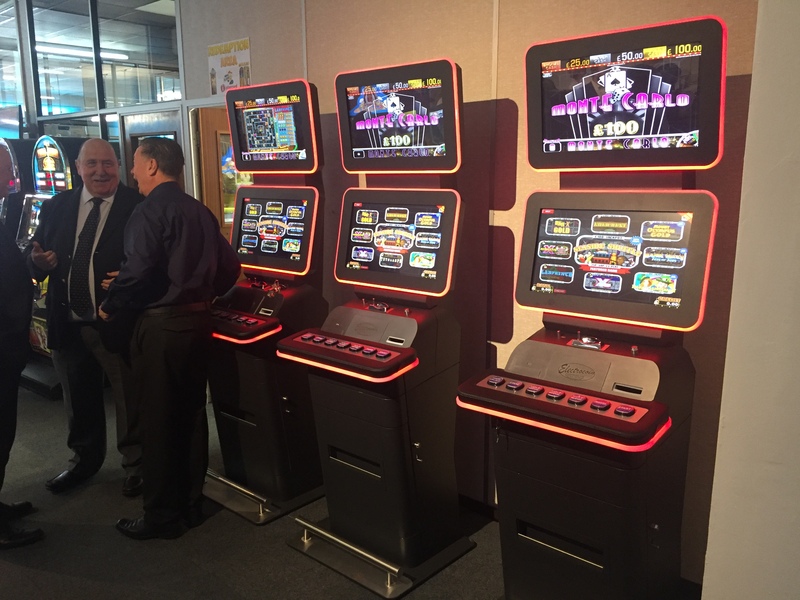 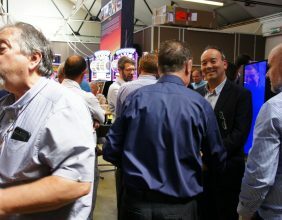 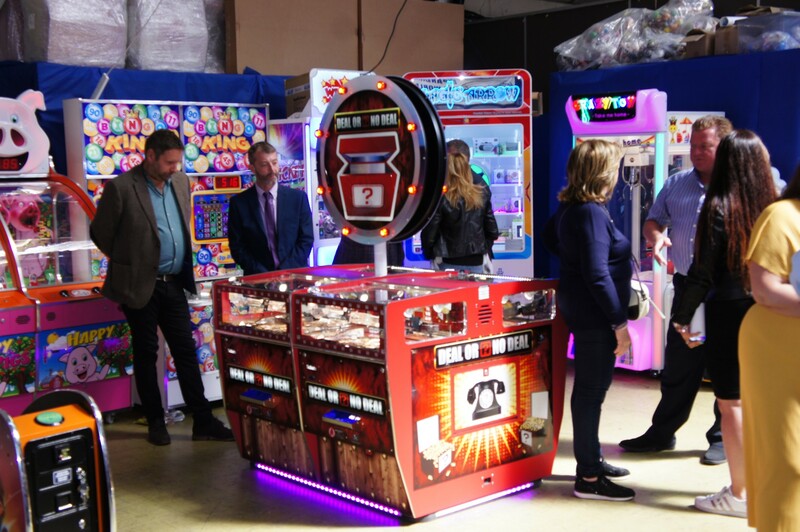 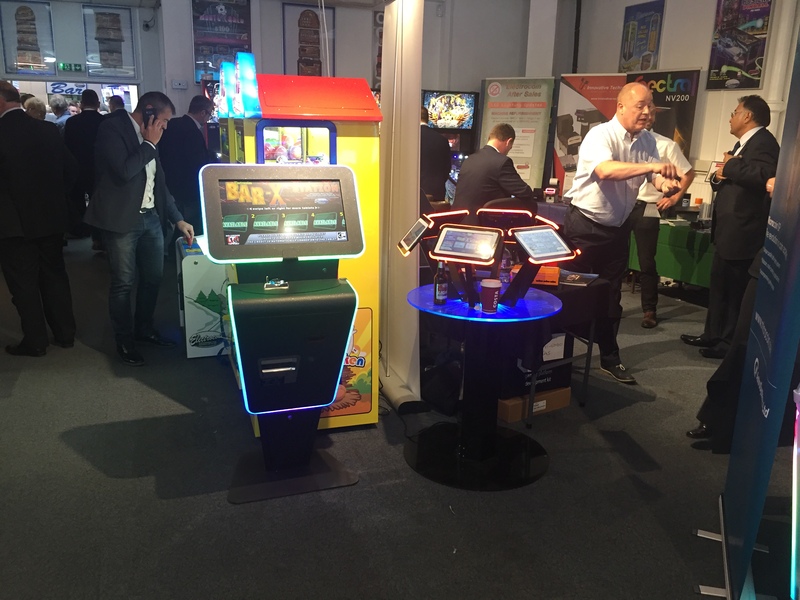 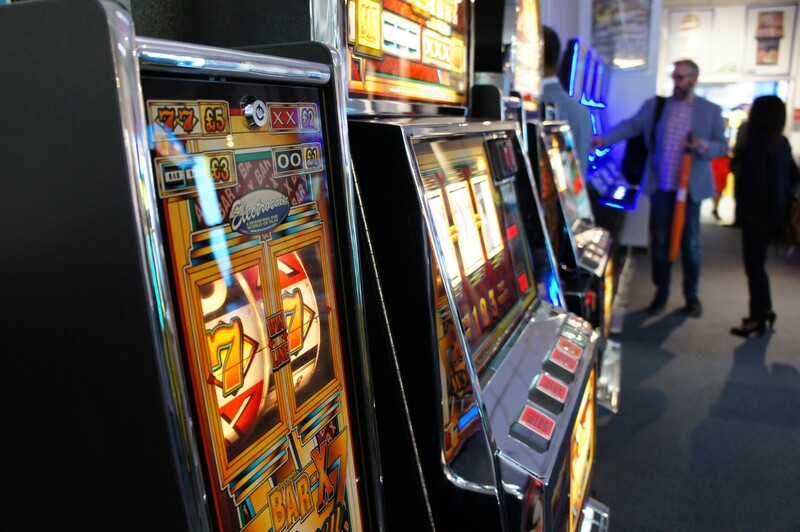 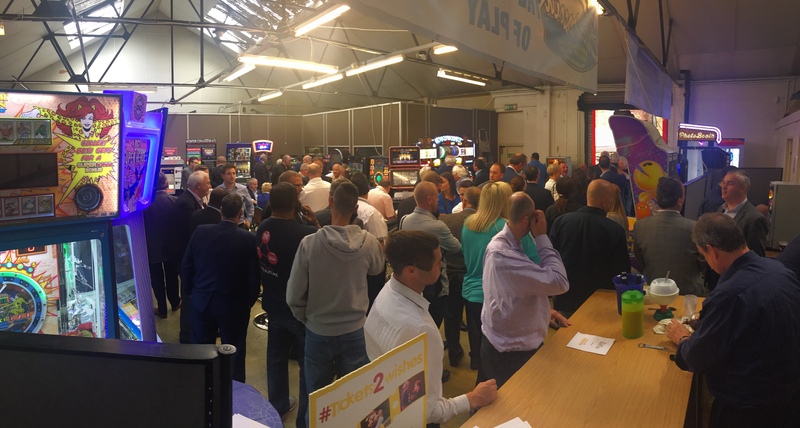 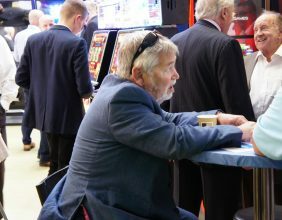 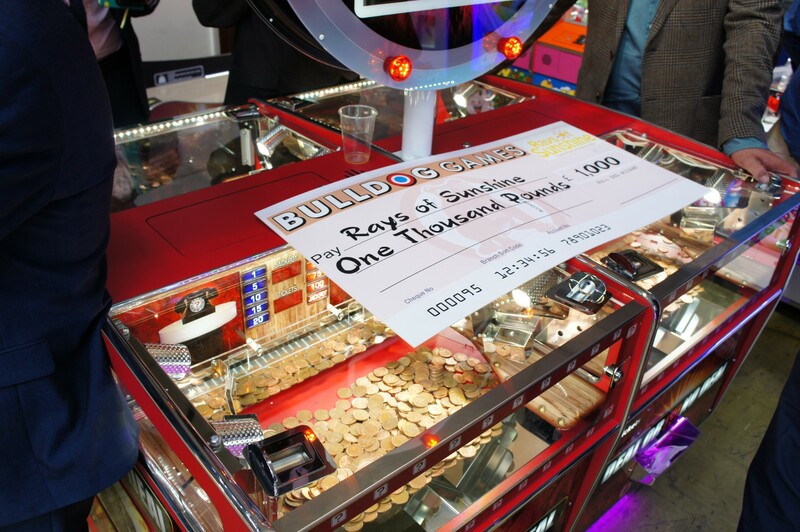 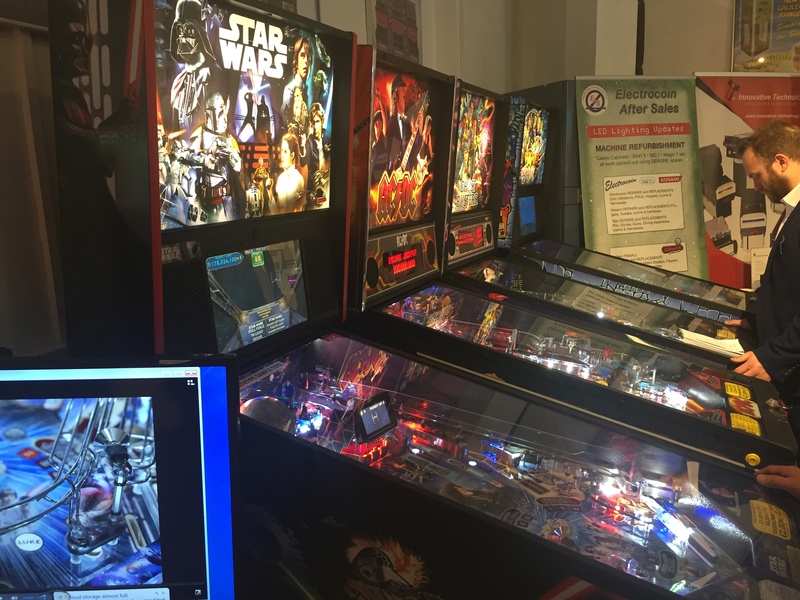 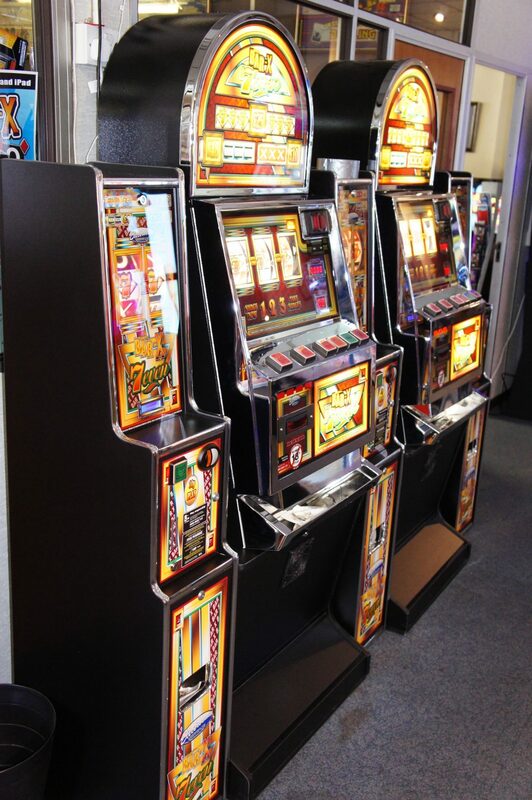 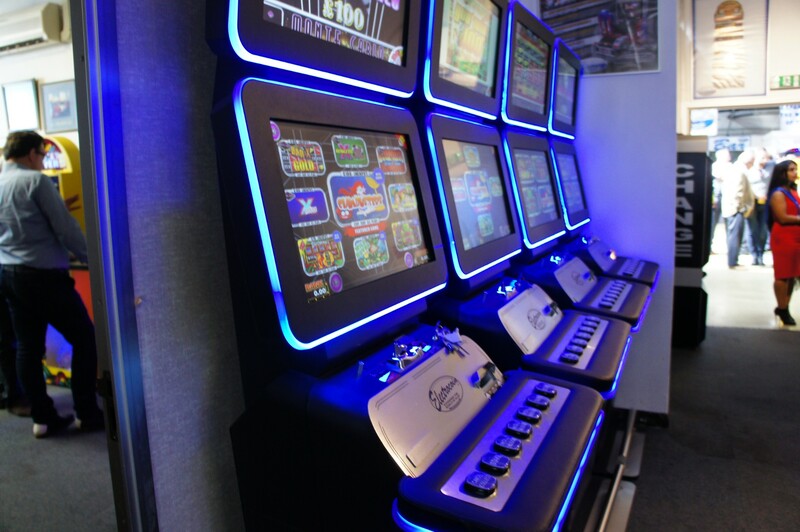 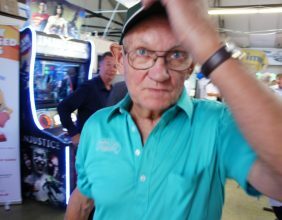 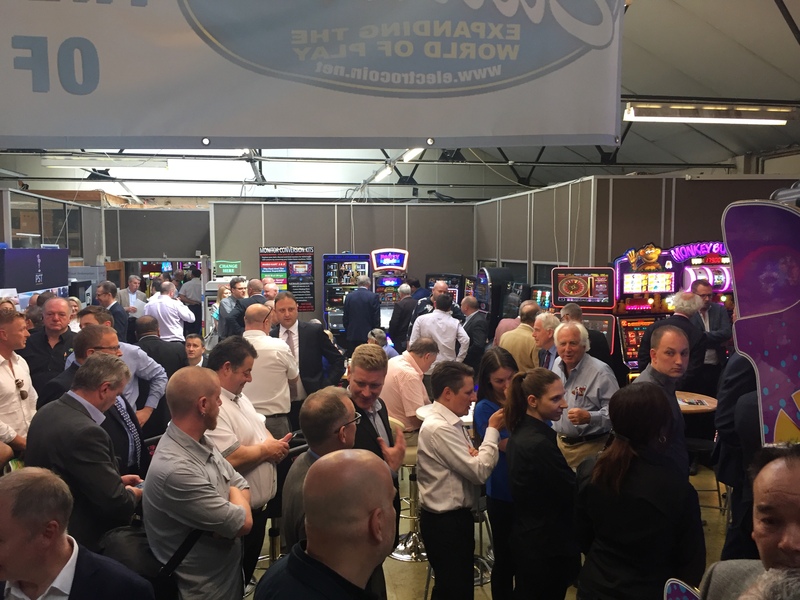 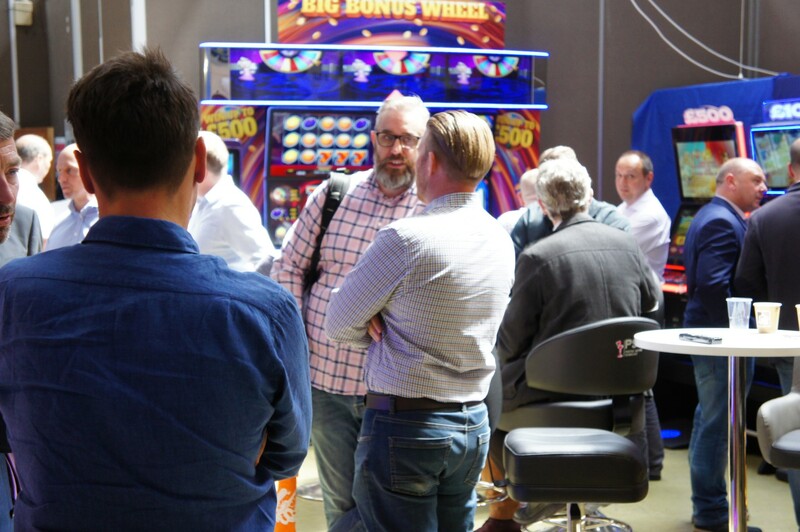 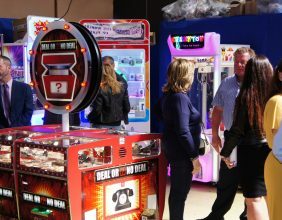 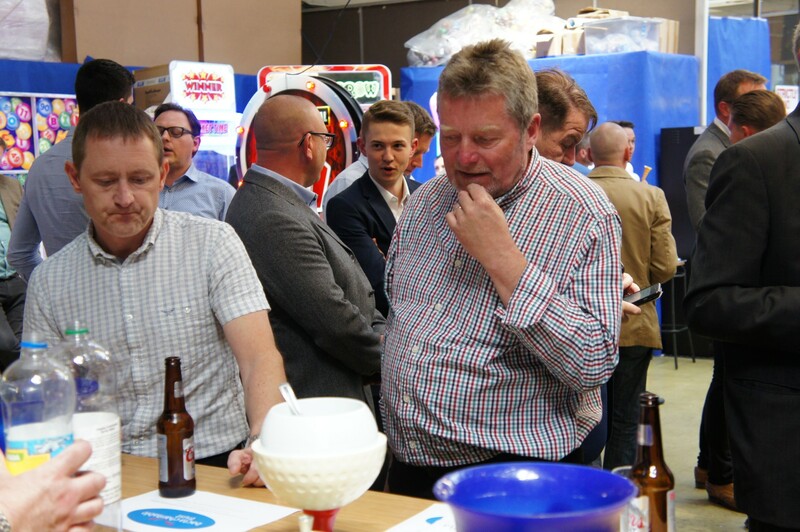 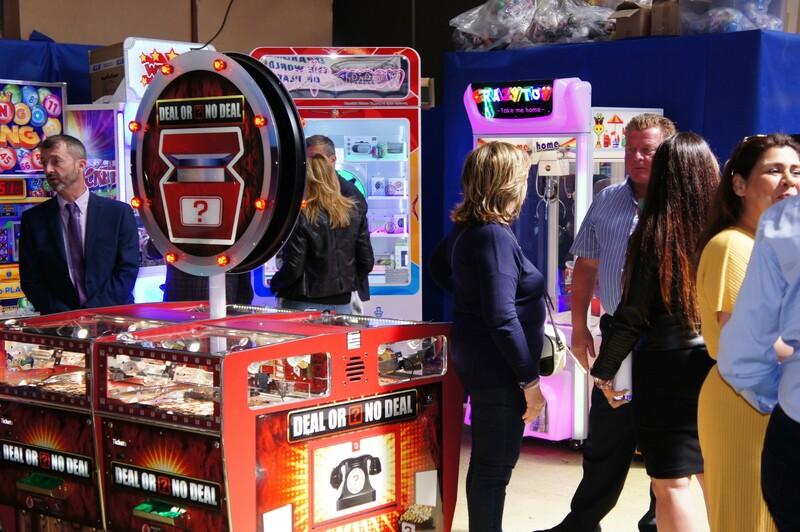 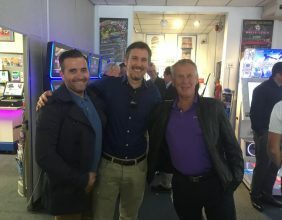 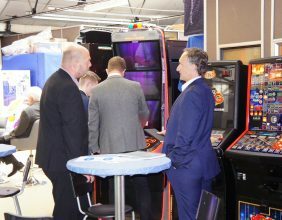 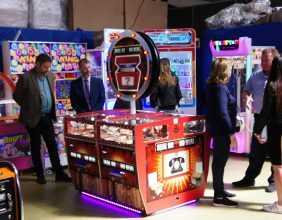 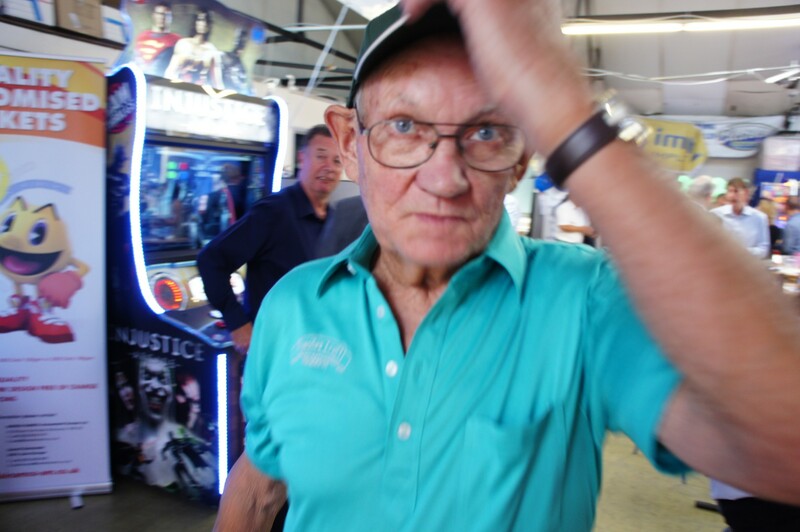 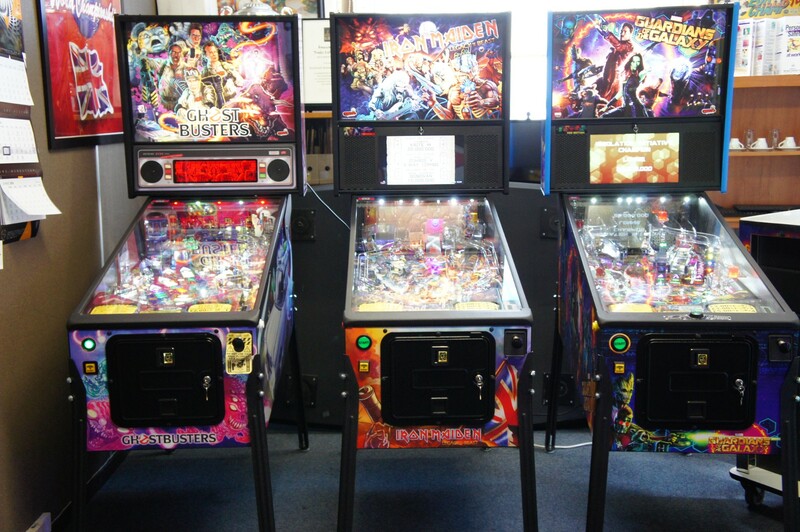 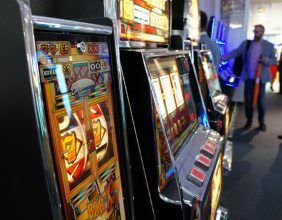 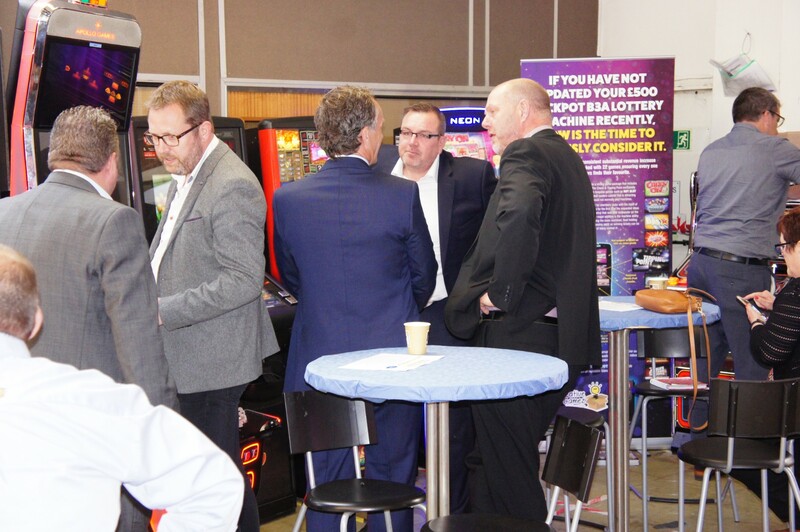 Find details on the biggest and most popular summer event in the Coin Op Industry. 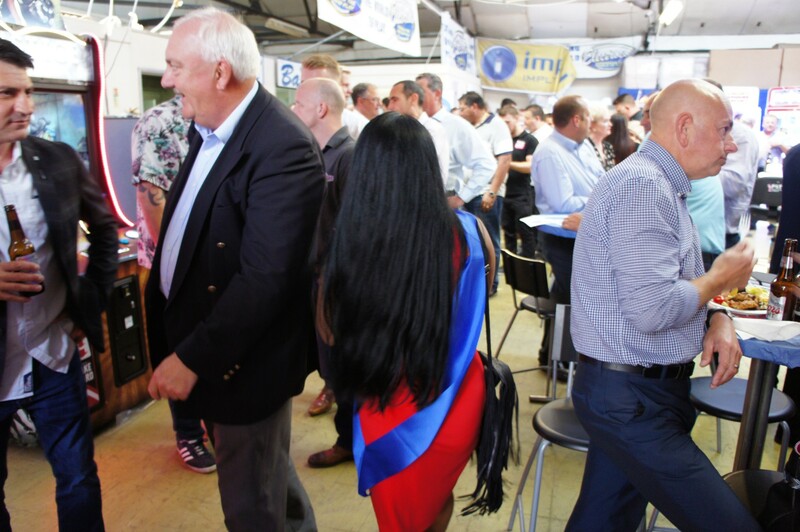 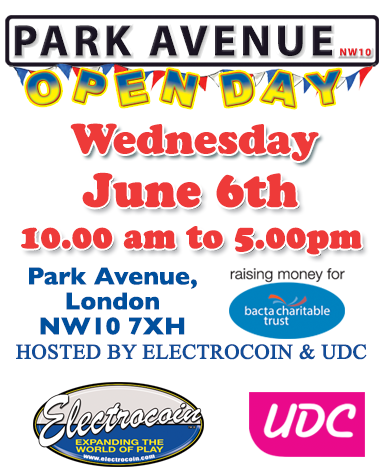 Electrocoin and UDC will once again open their doors to the industry, with over 30 companies participating. 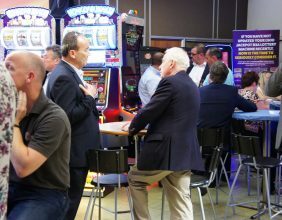 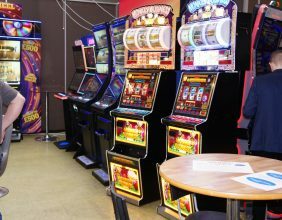 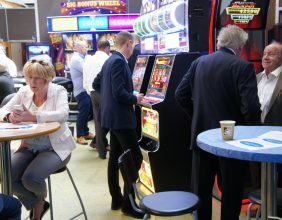 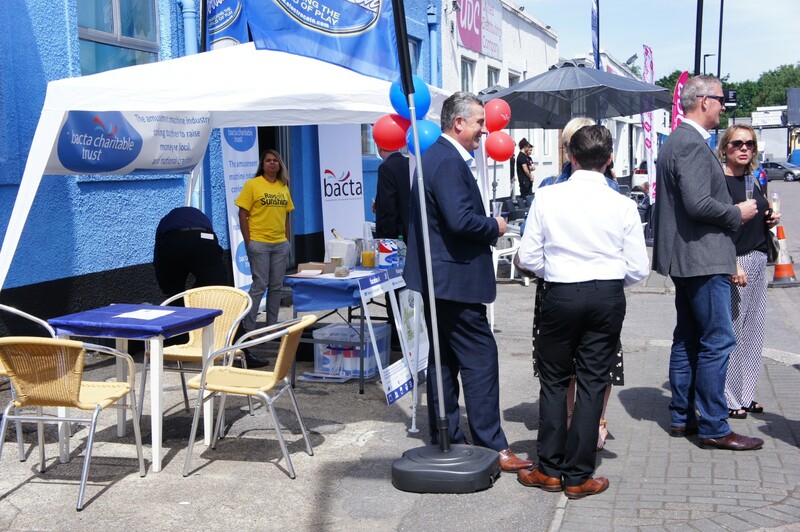 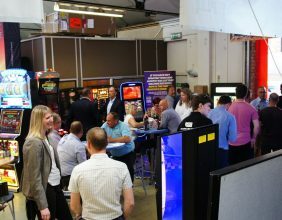 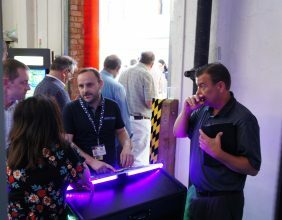 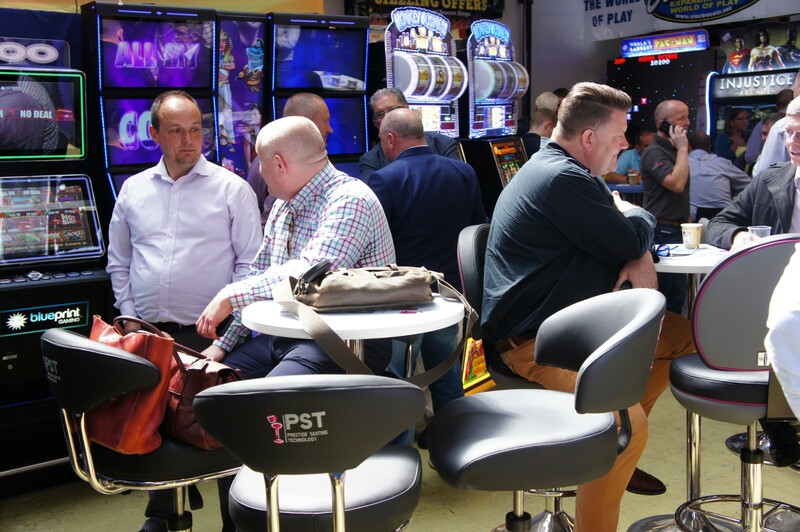 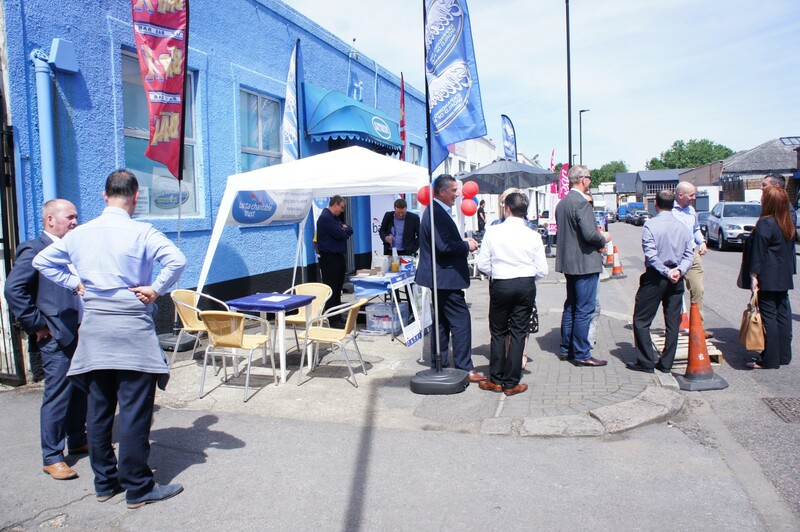 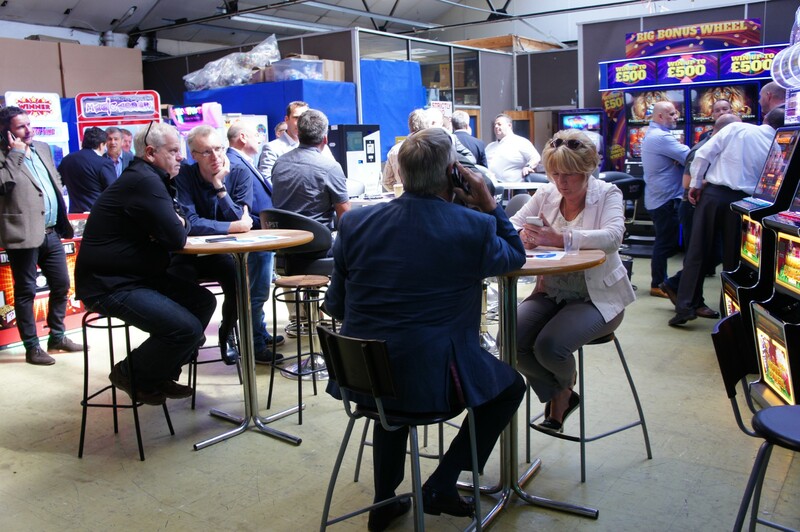 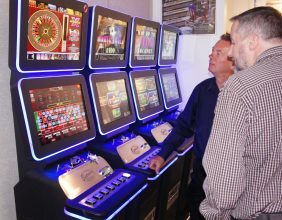 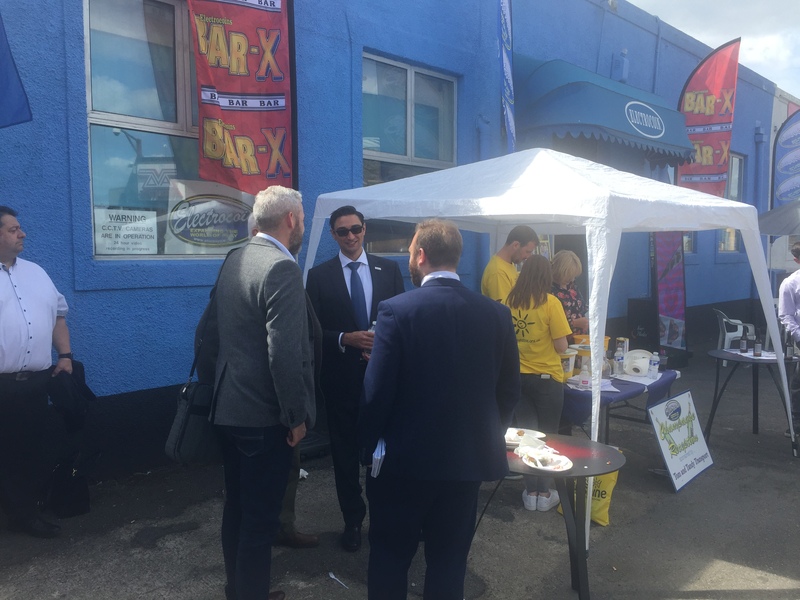 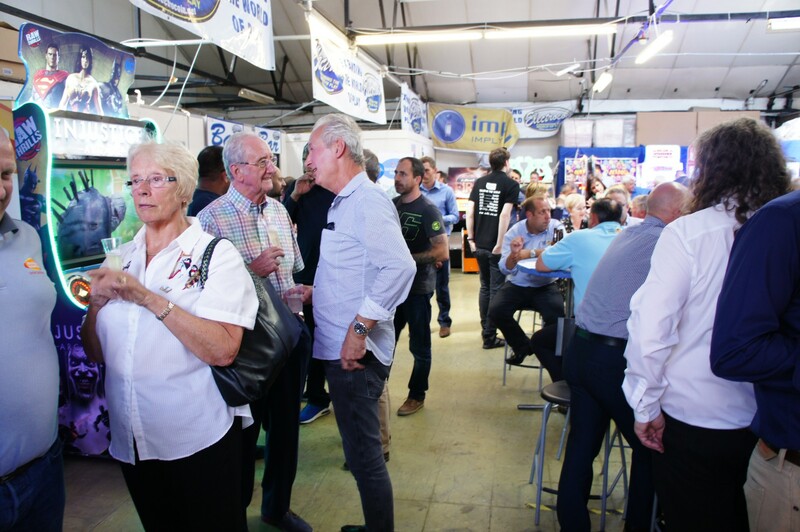 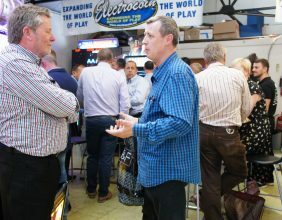 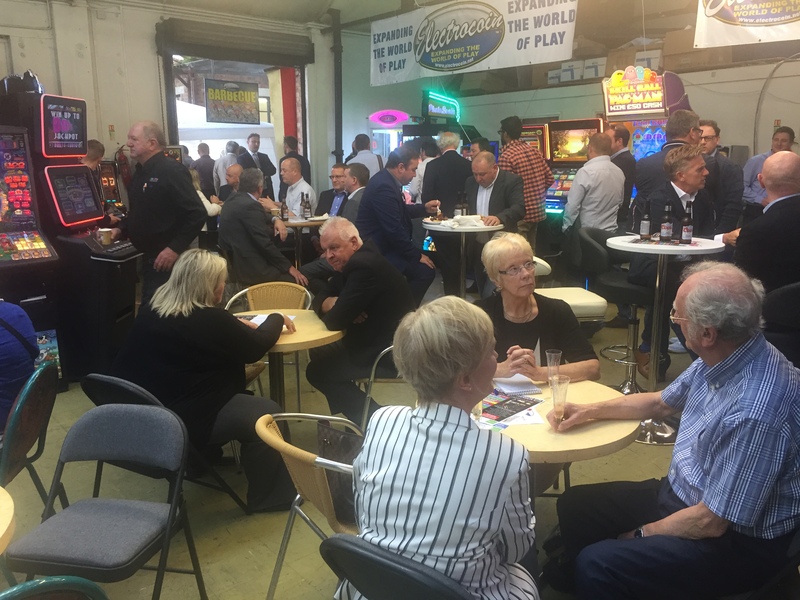 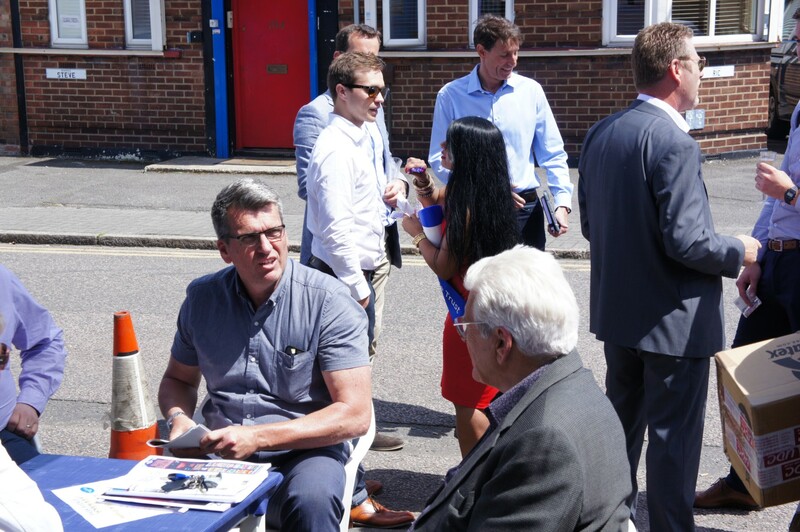 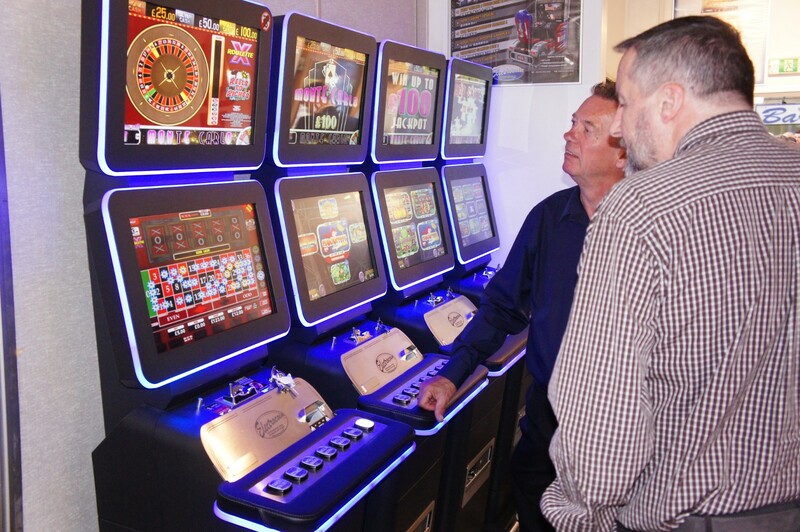 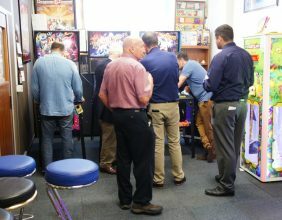 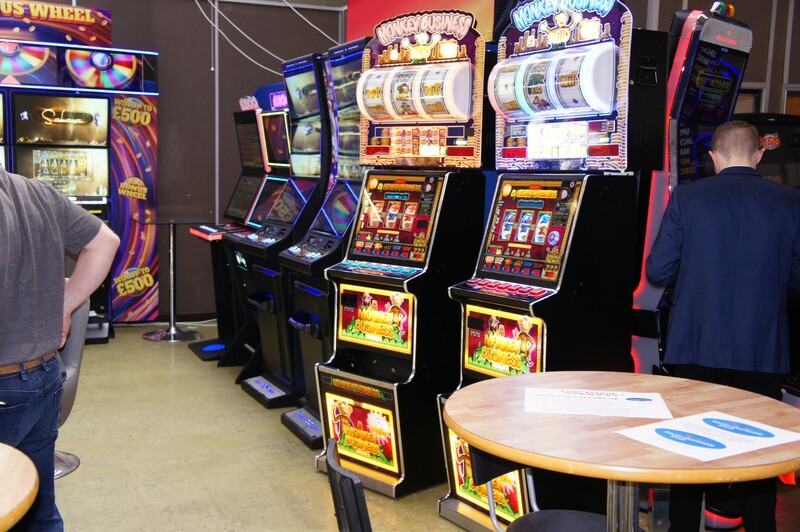 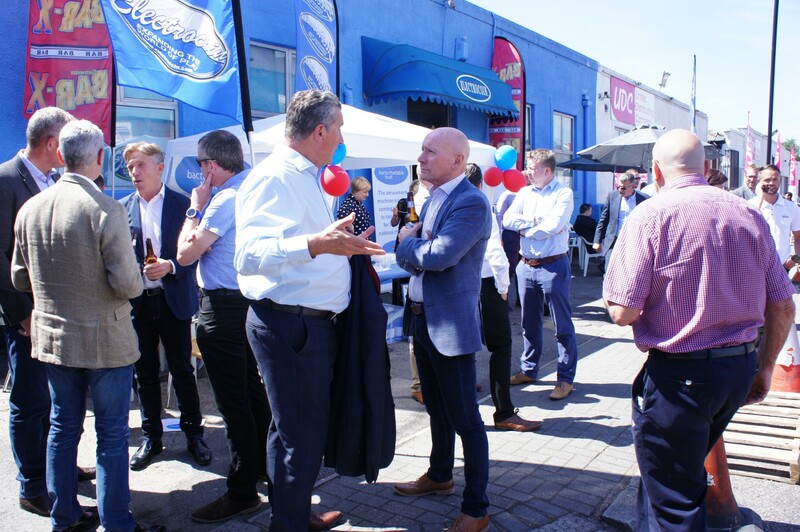 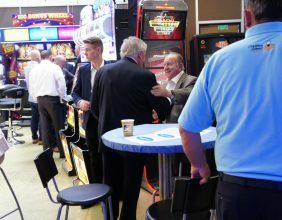 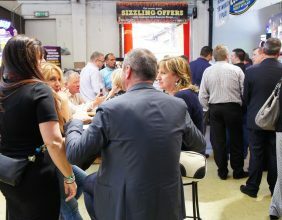 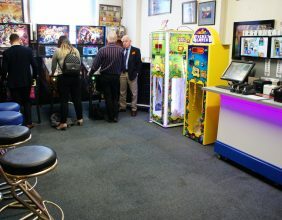 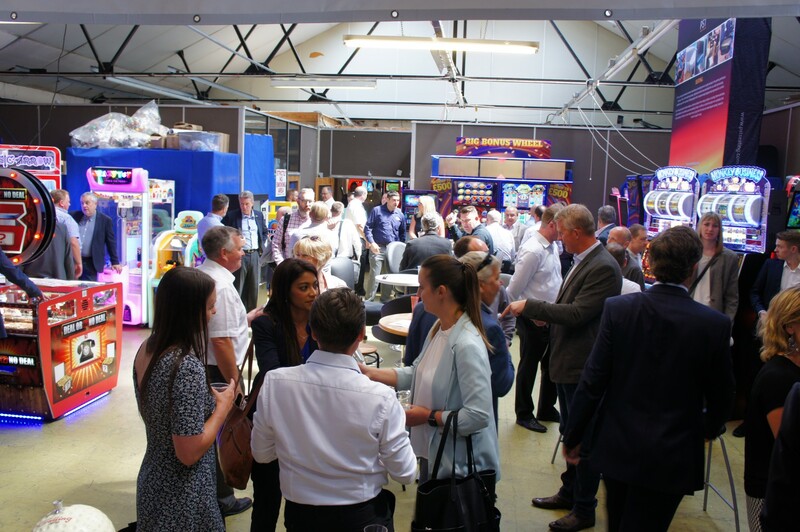 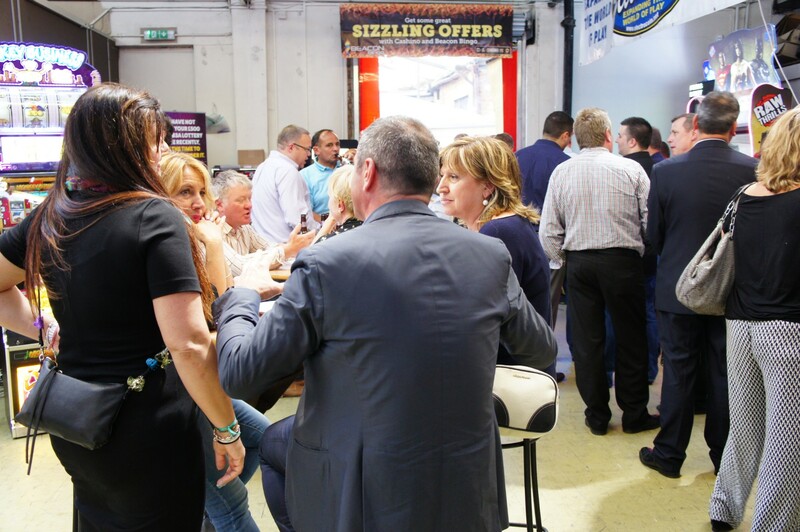 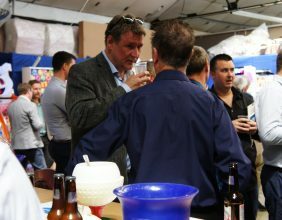 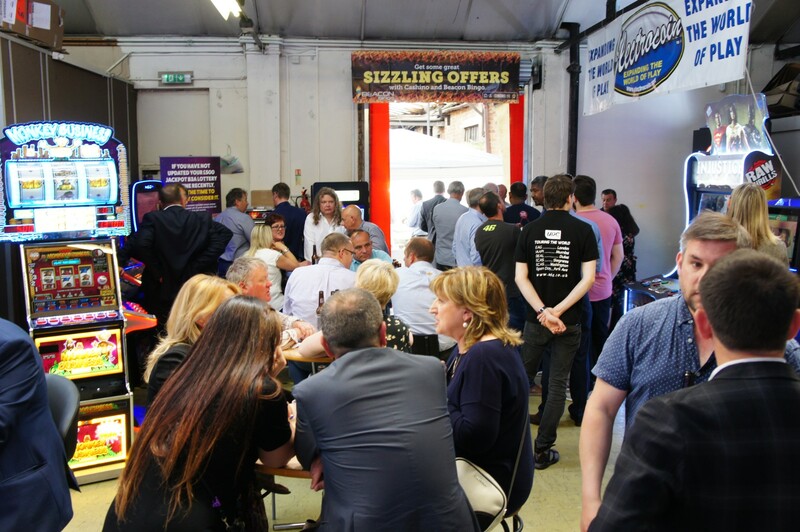 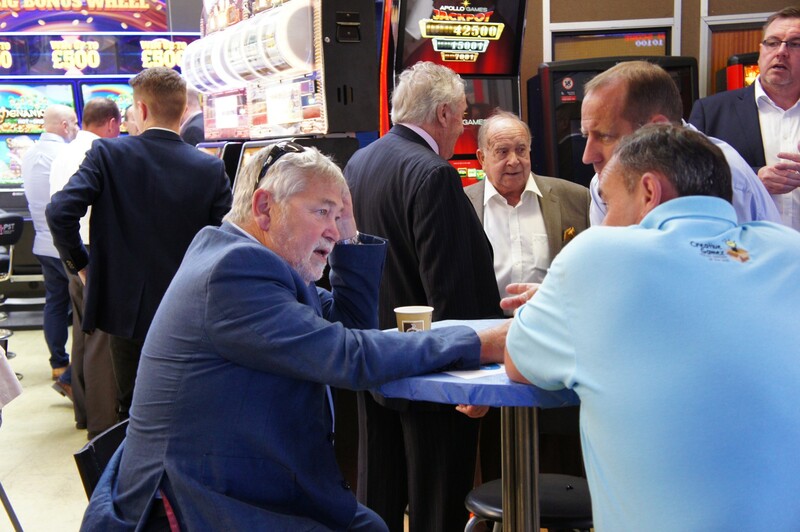 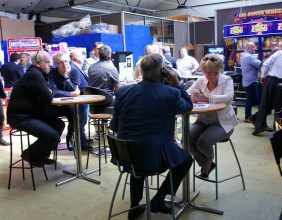 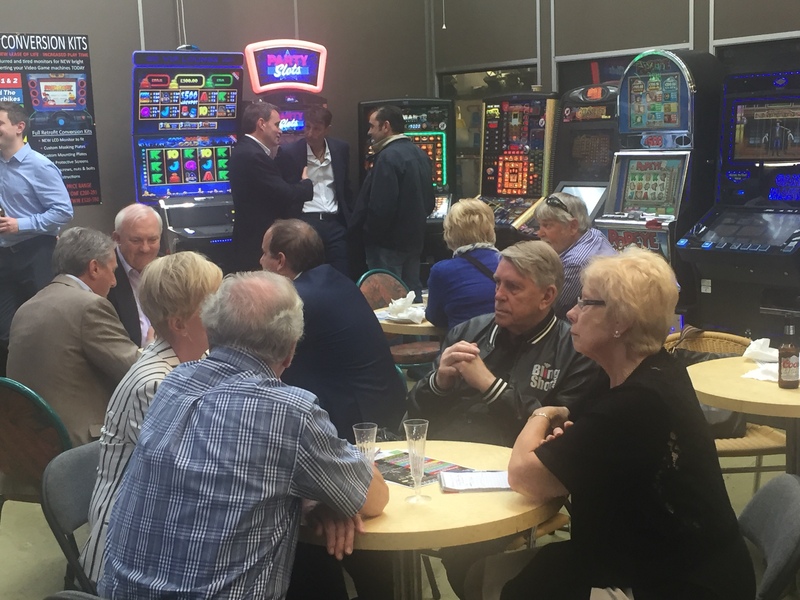 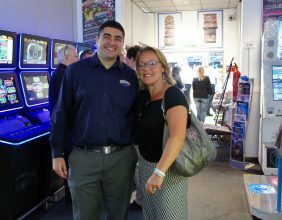 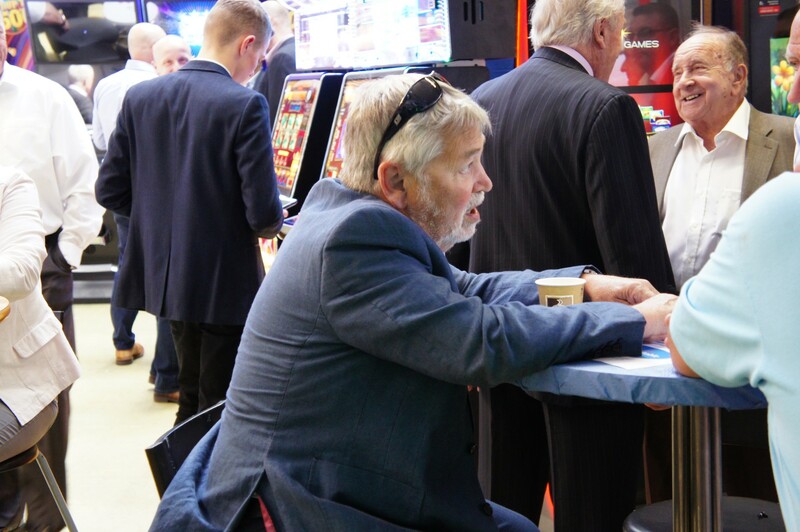 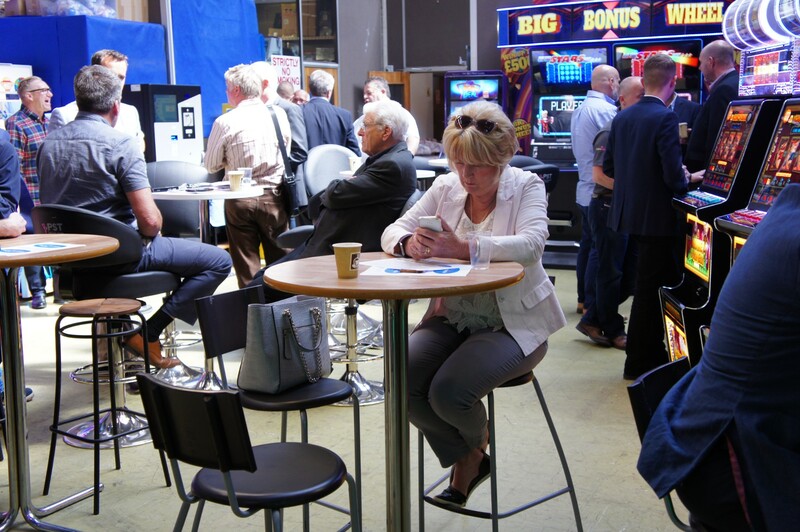 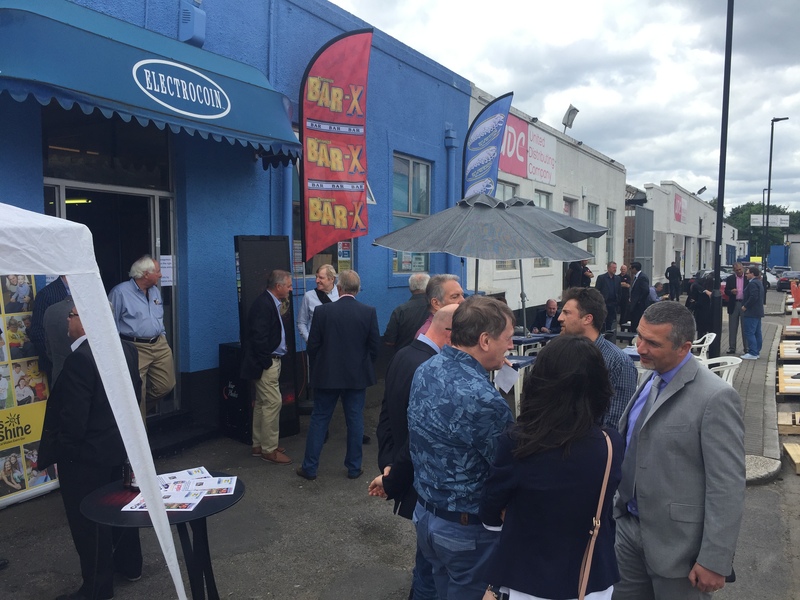 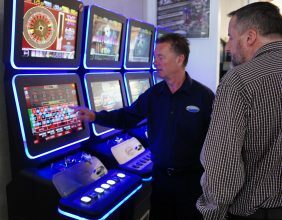 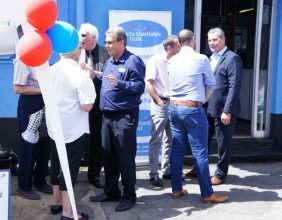 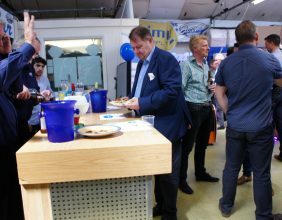 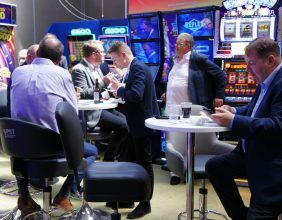 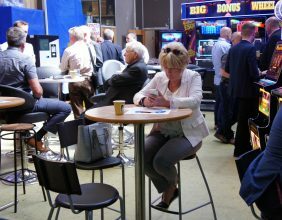 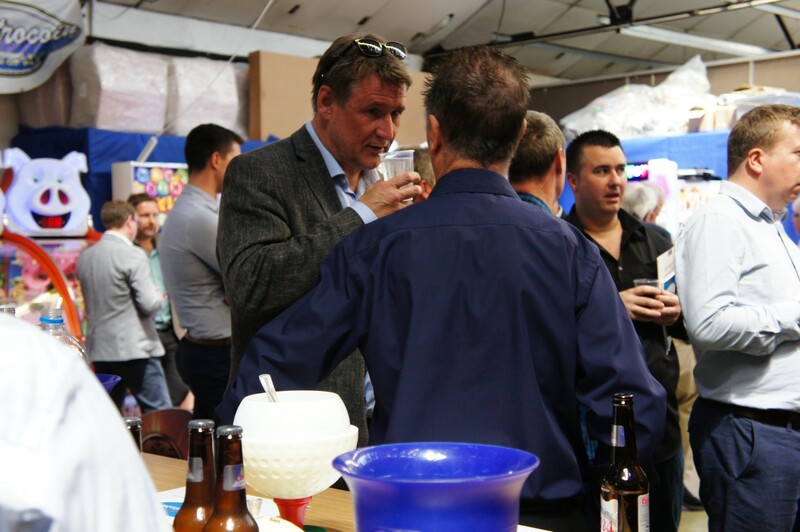 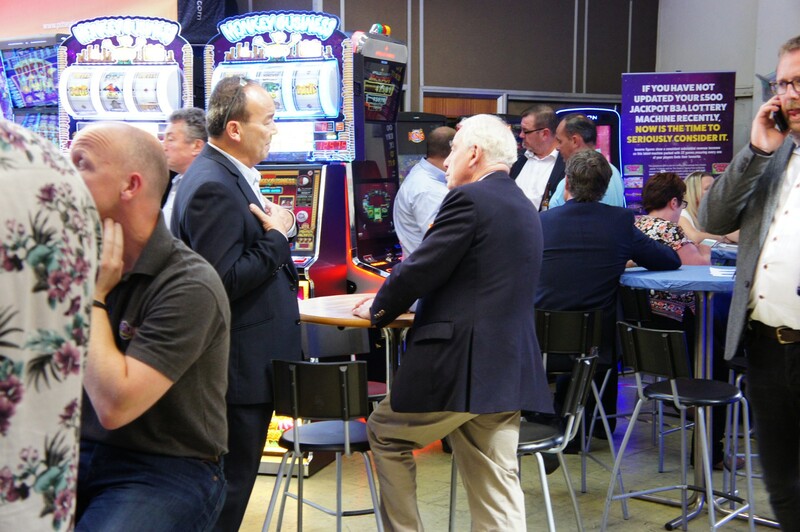 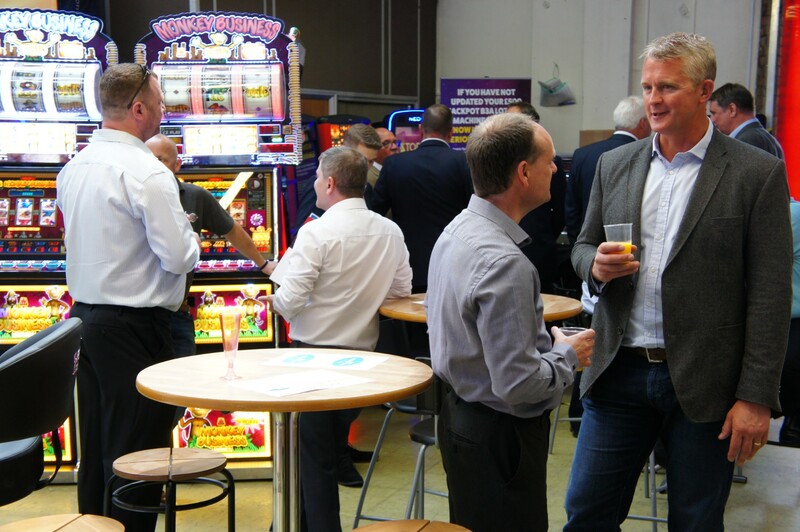 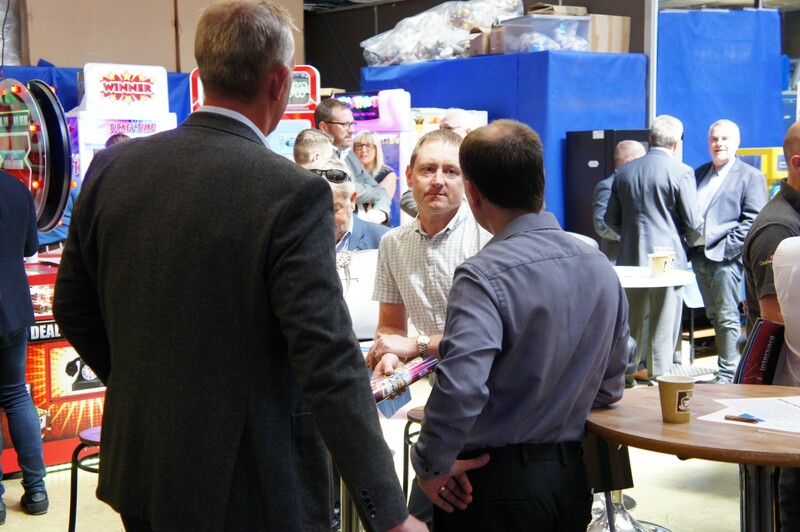 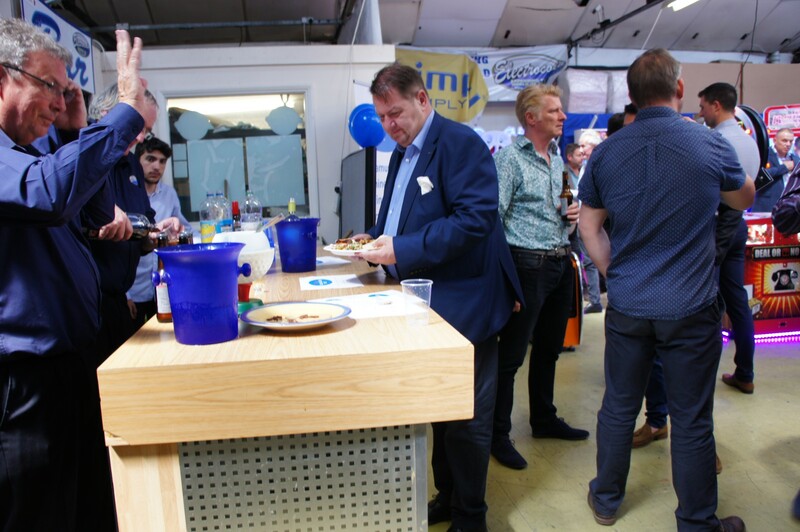 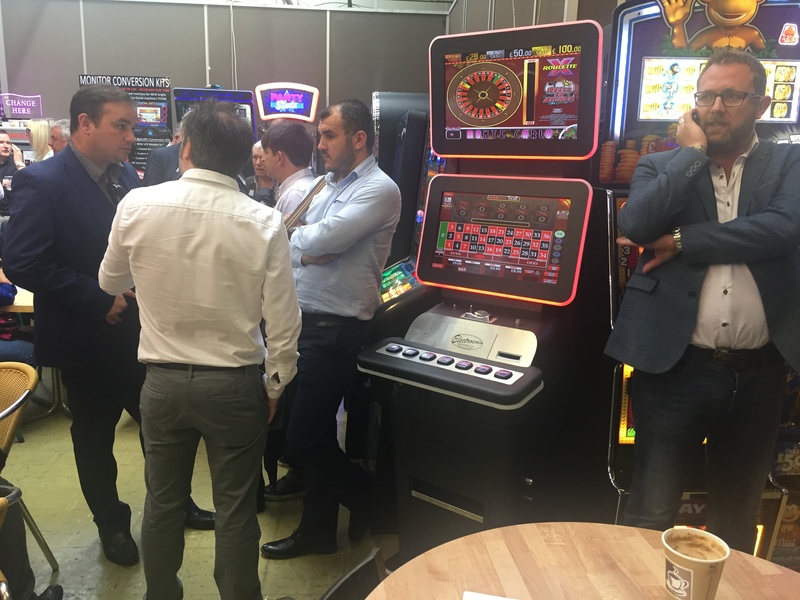 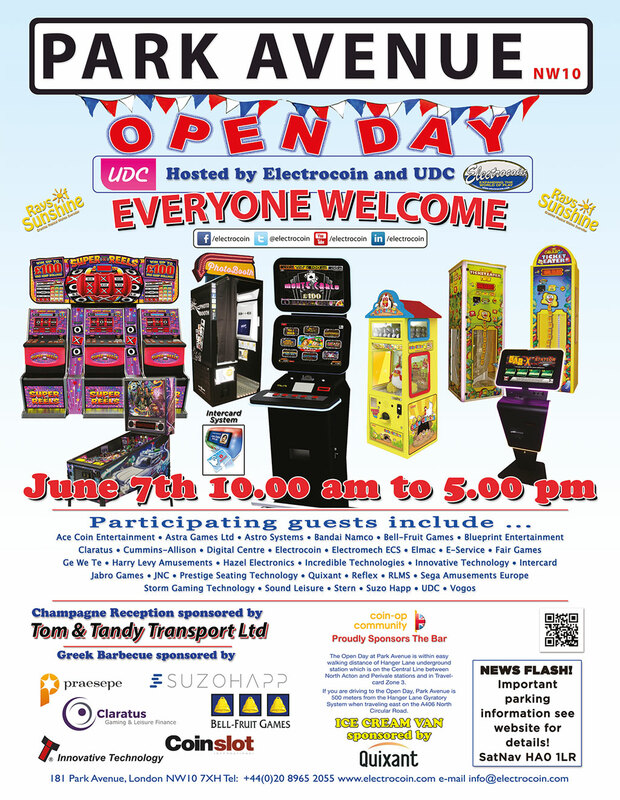 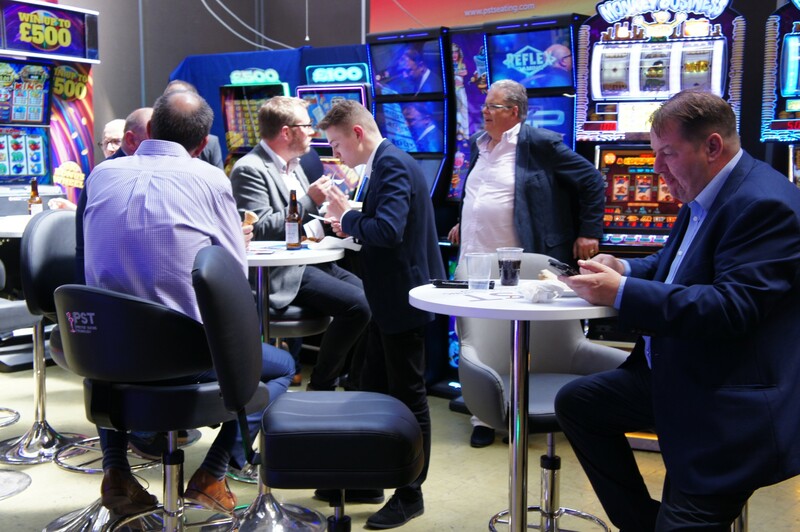 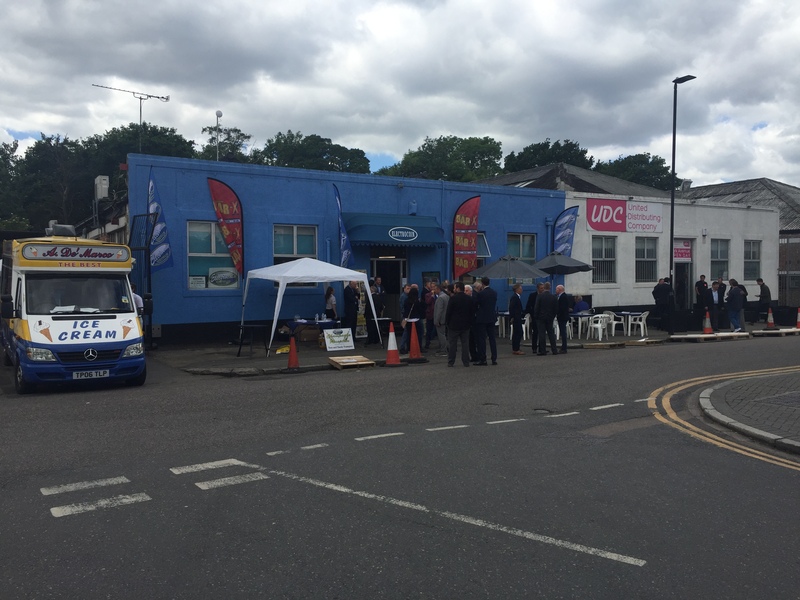 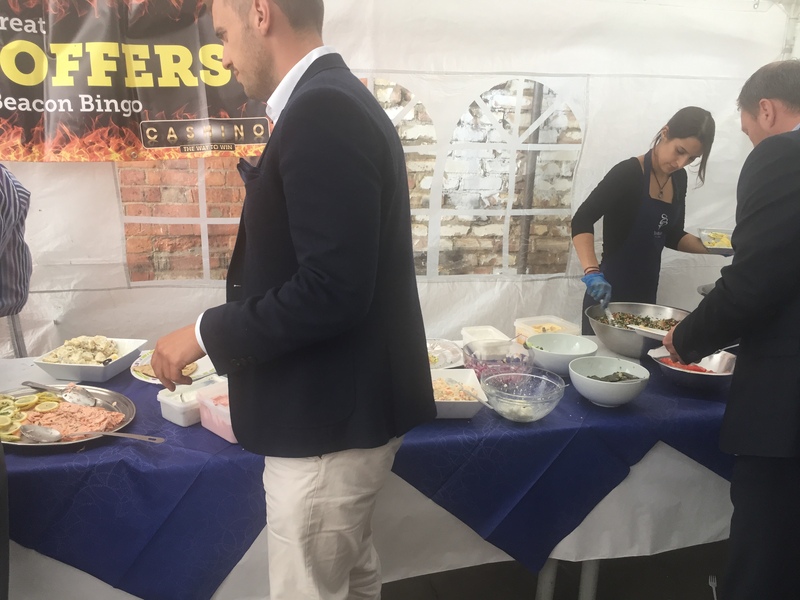 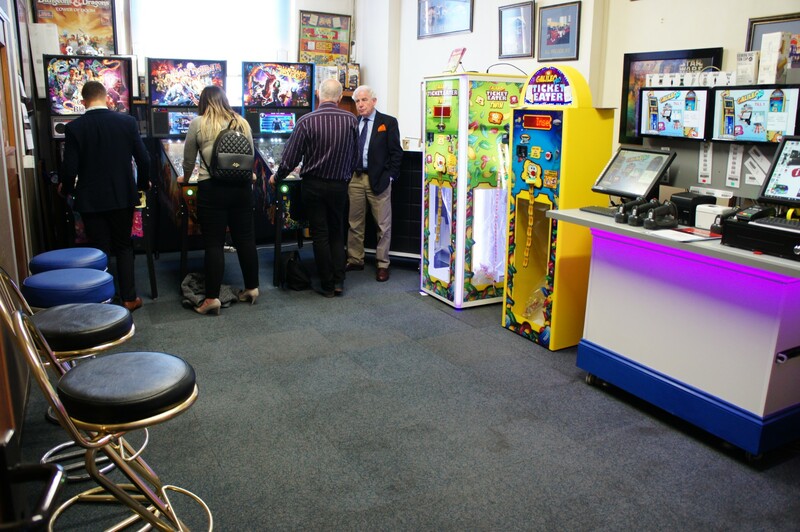 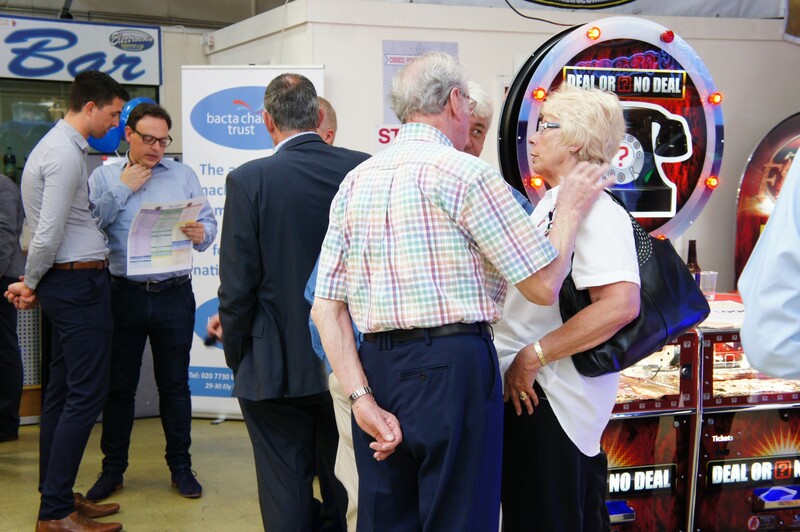 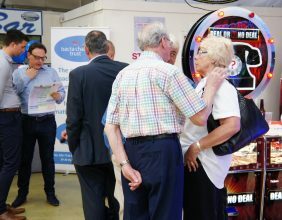 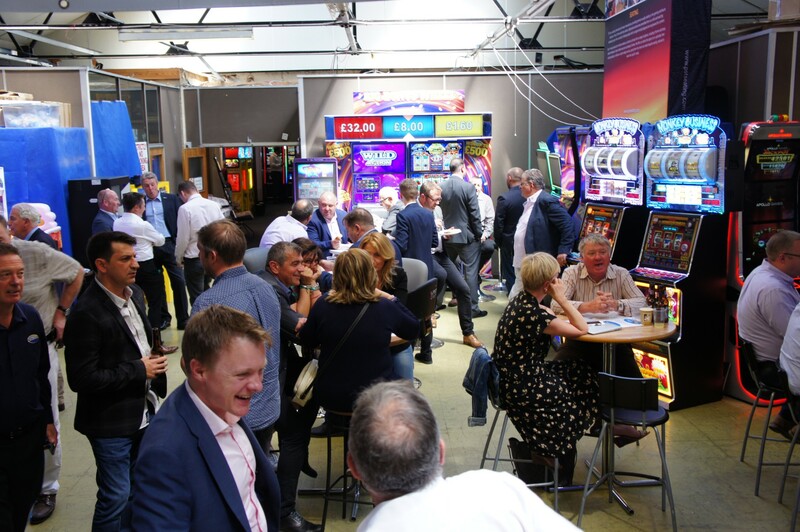 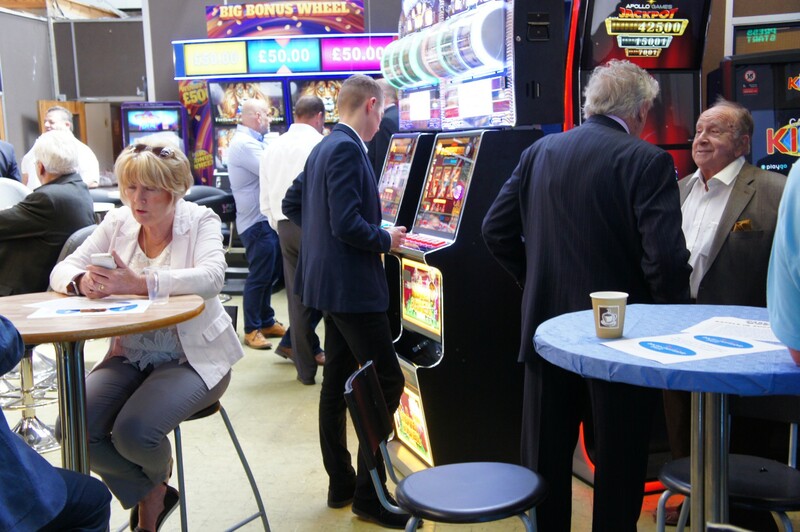 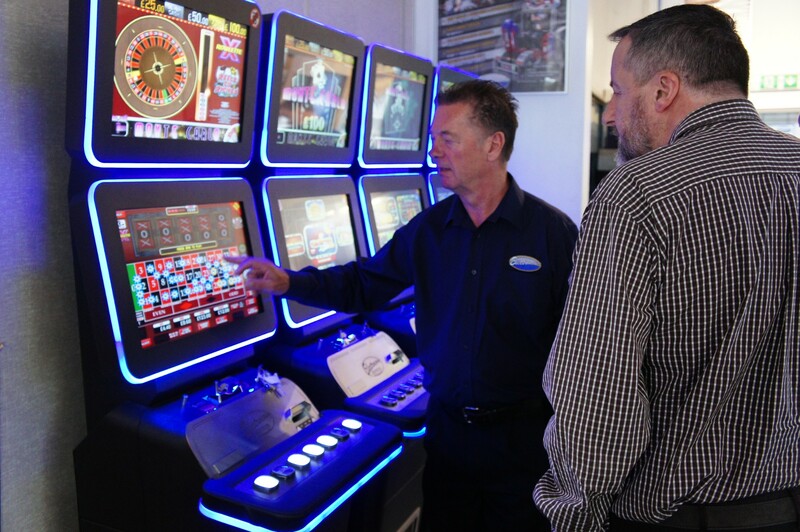 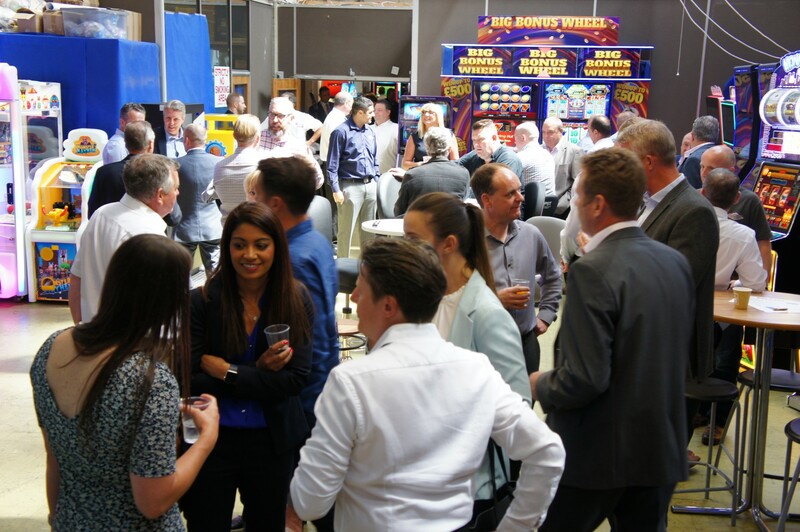 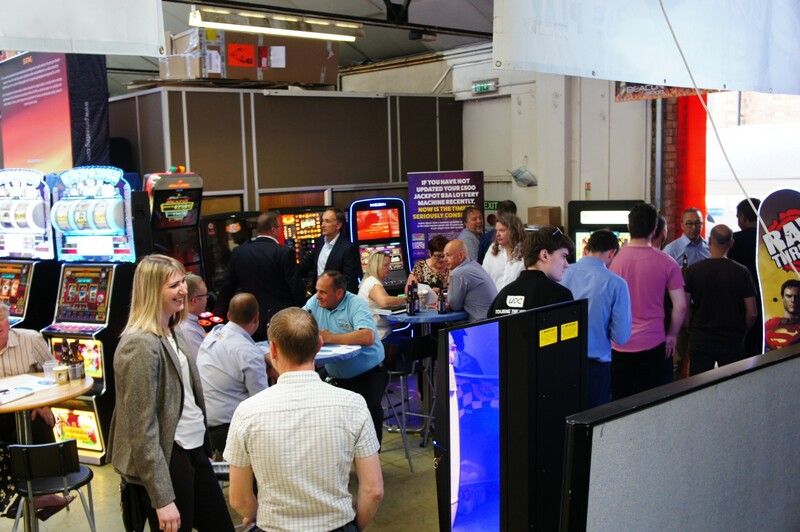 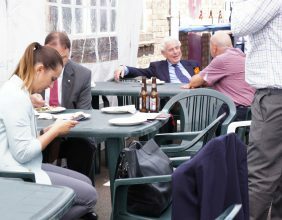 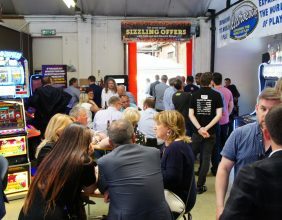 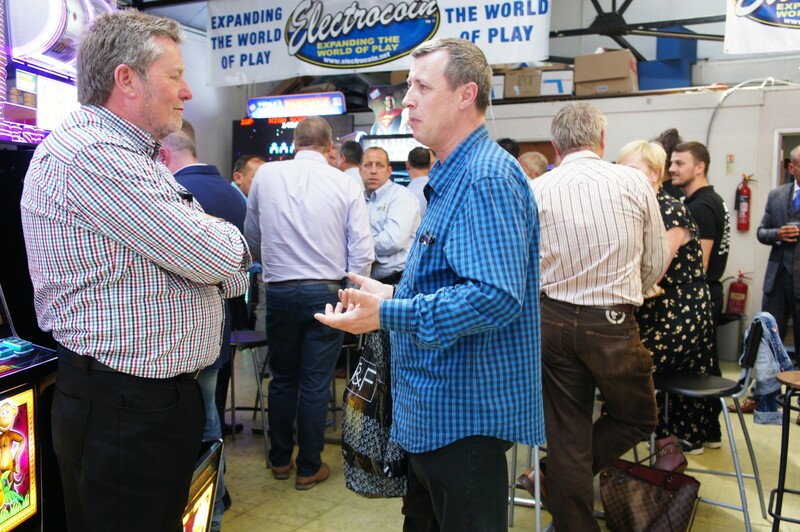 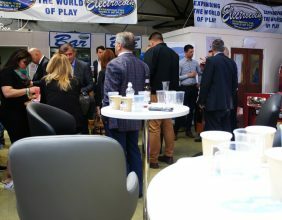 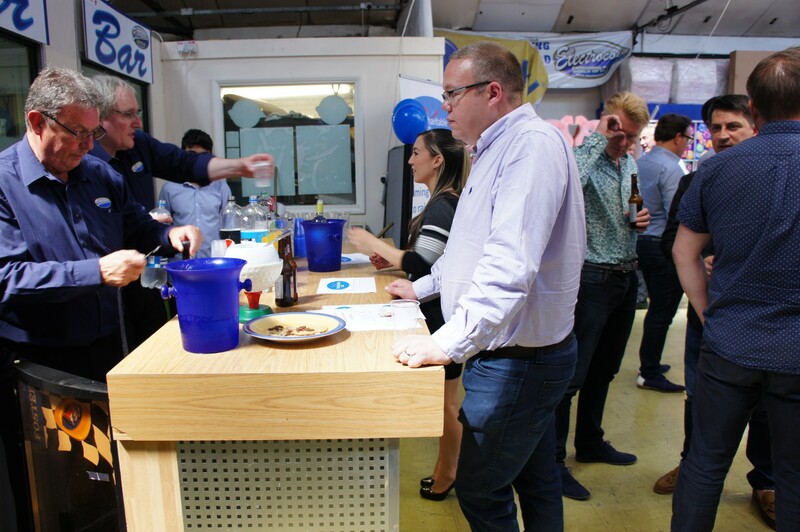 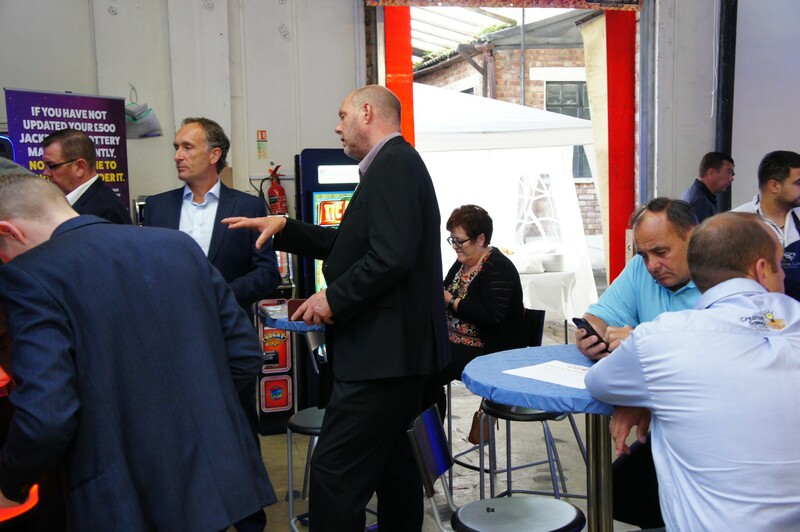 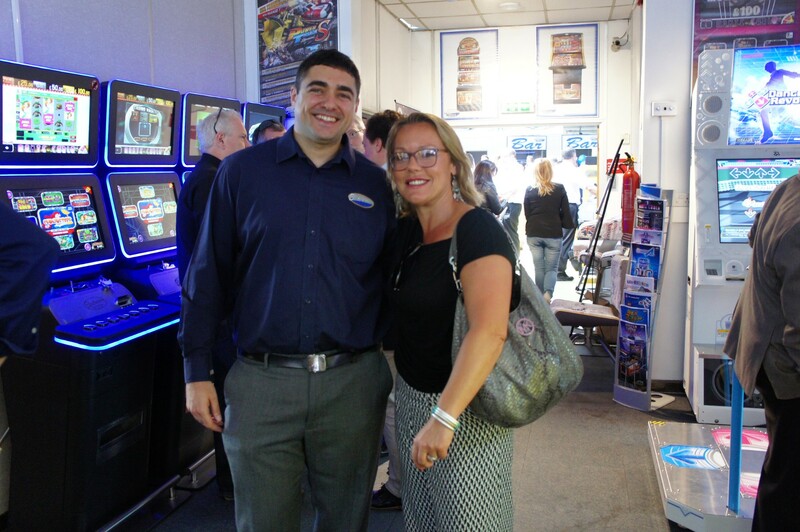 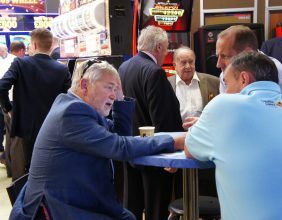 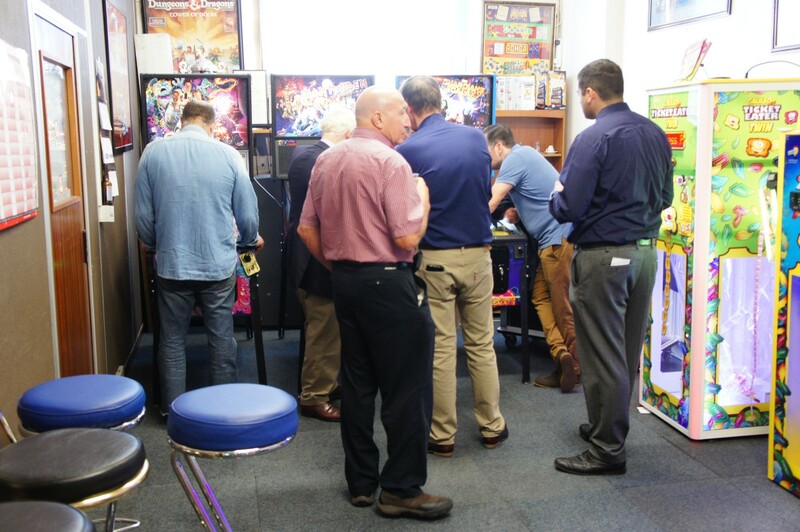 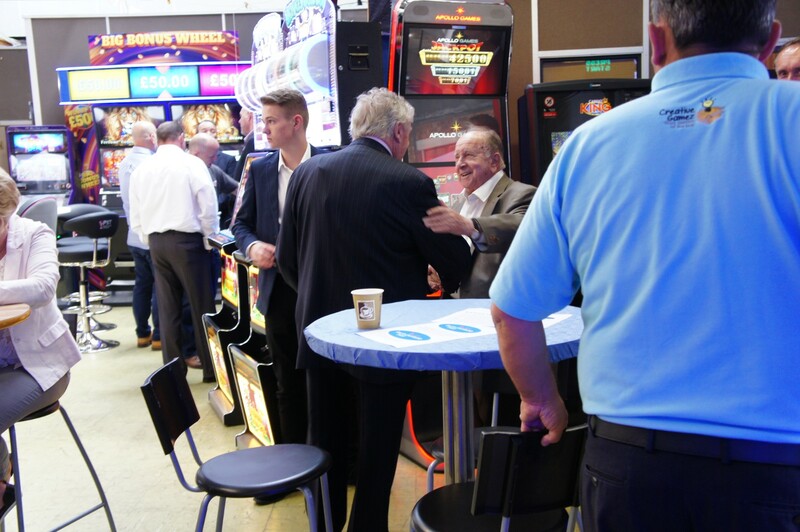 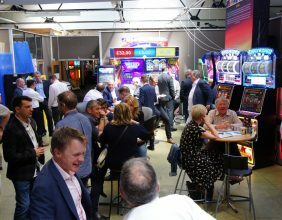 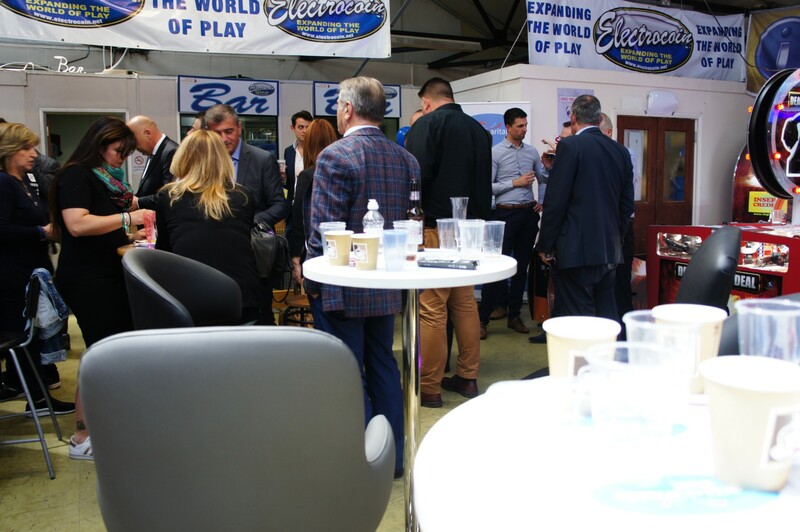 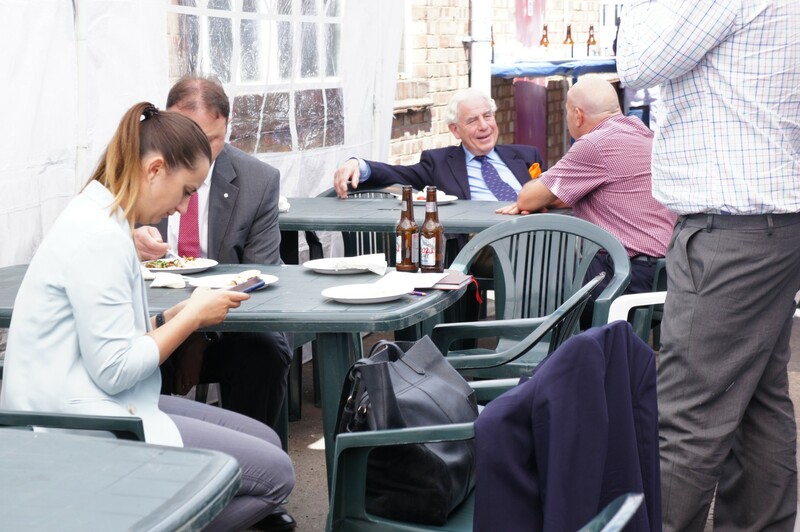 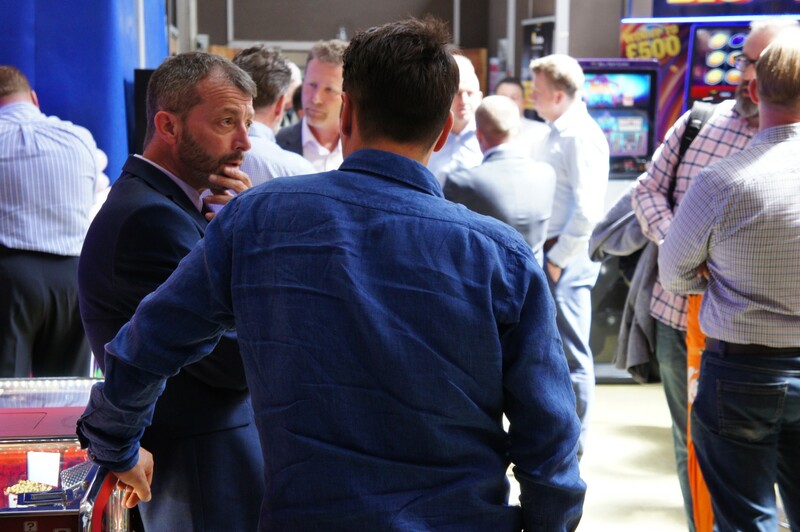 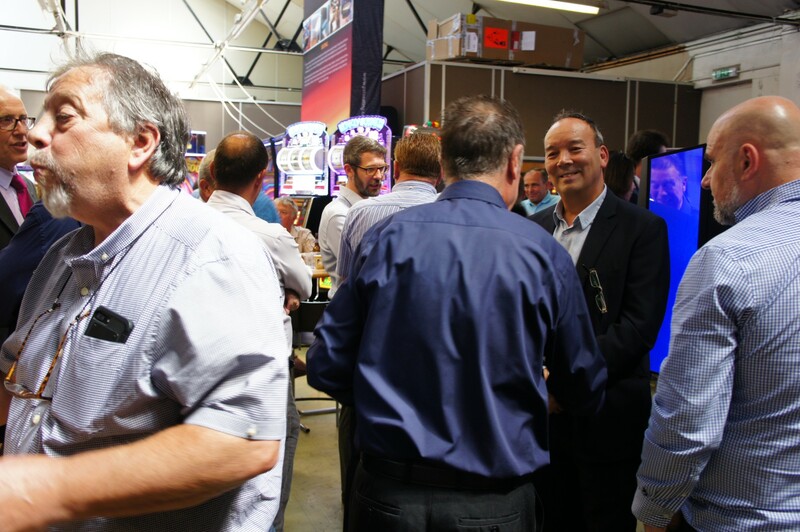 Come and check out the latest amusement and gaming products before the summer, talk business in an informal atmosphere, whilst enjoying the famous Greek barbecue and a glass of refreshment. 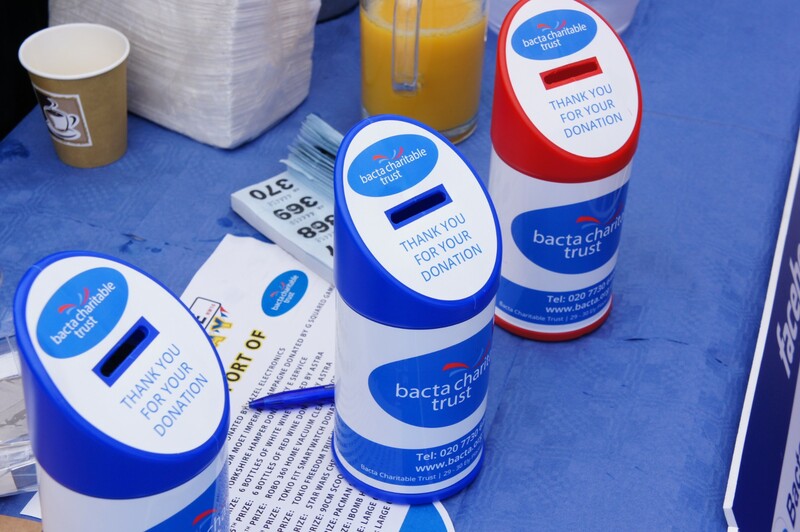 A raffle will also be held with all proceed raised on the day going to BACTA’s charity of choice. 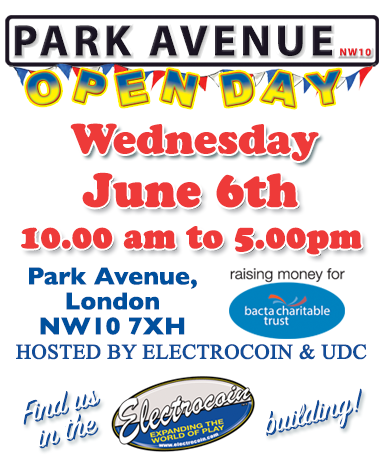 History of the Park Avenue Open Day. 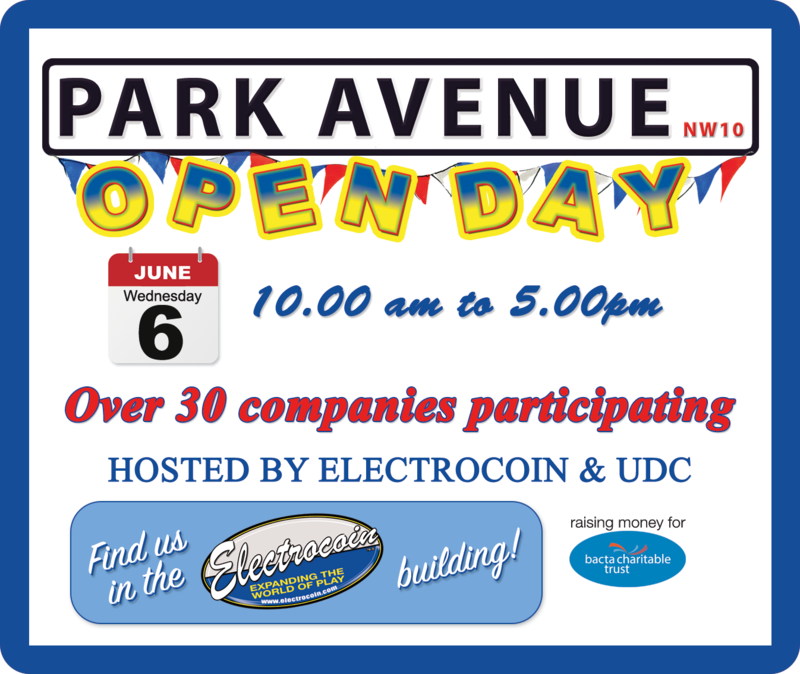 For those visitors who did not visit Park Avenue Open Day prior to around the year 2000, the current format will be very familiar to them. 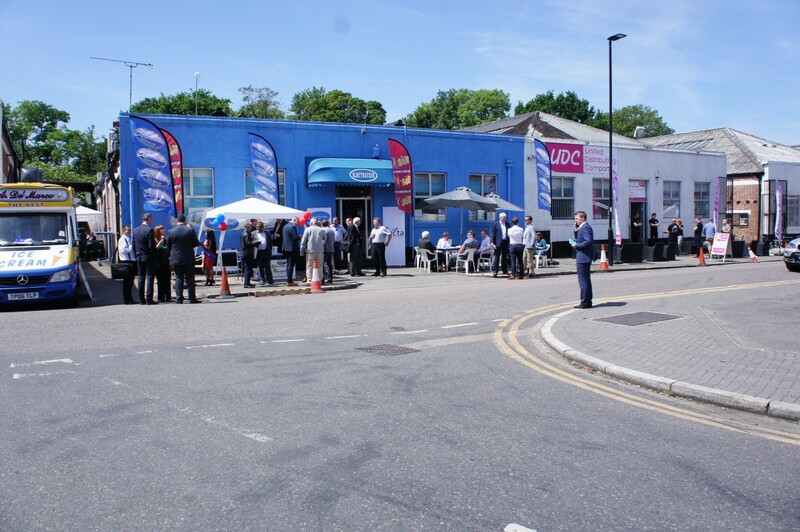 However, those with a longer history in this industry will recall that 11 companies were based in and around Park Avenue/Brent Crescent throughout the 1980’s. 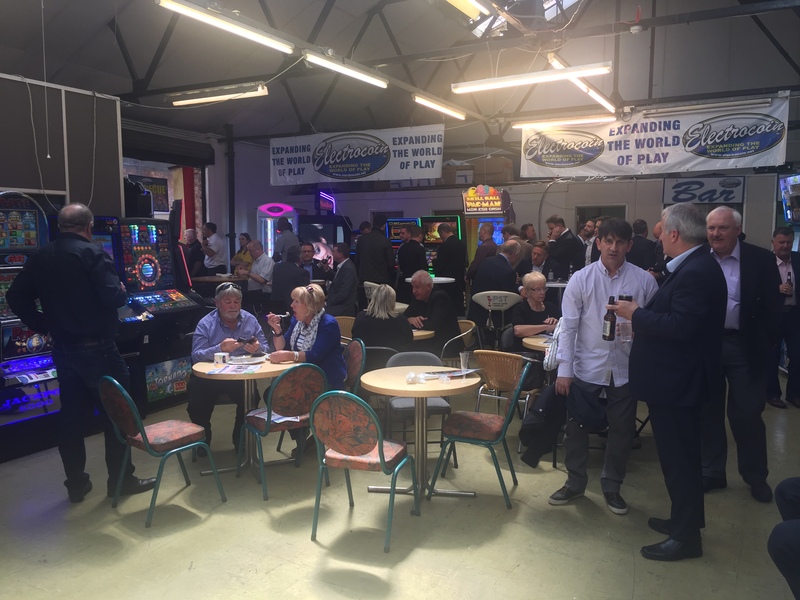 All of these threw open their doors and invited the Amusement machine Industry into their premises on the same day. 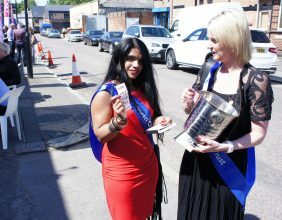 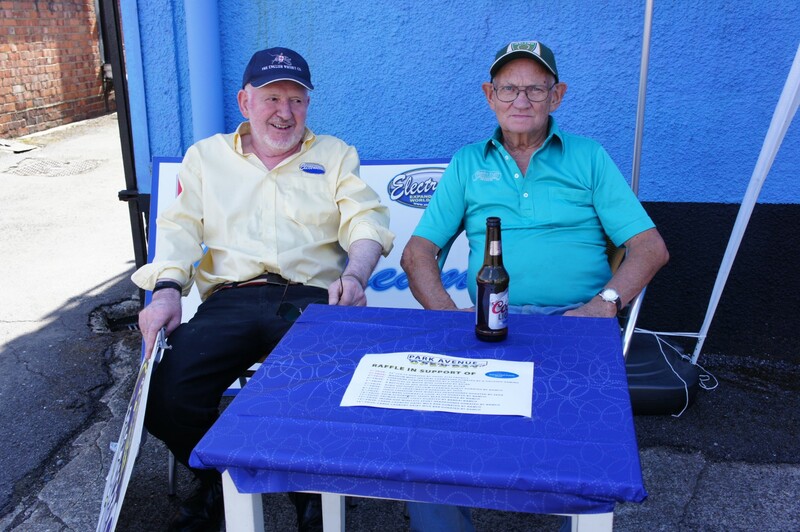 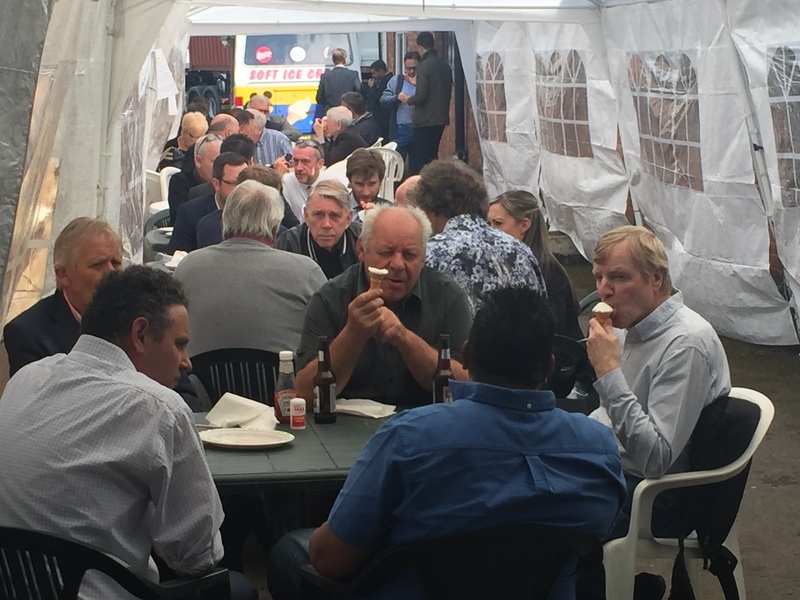 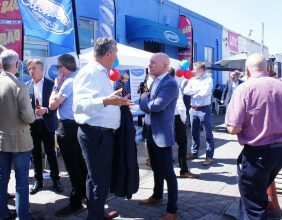 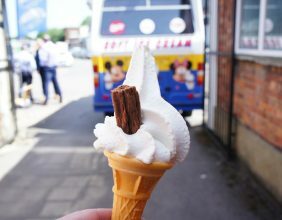 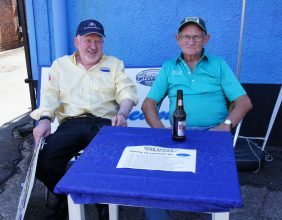 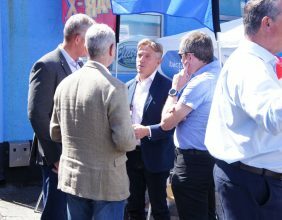 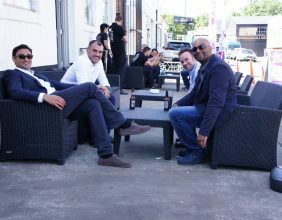 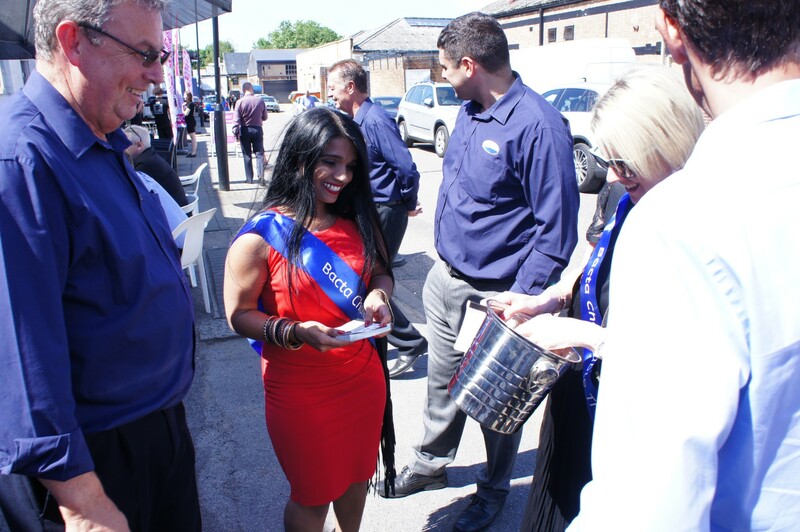 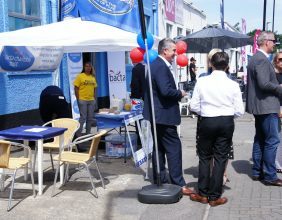 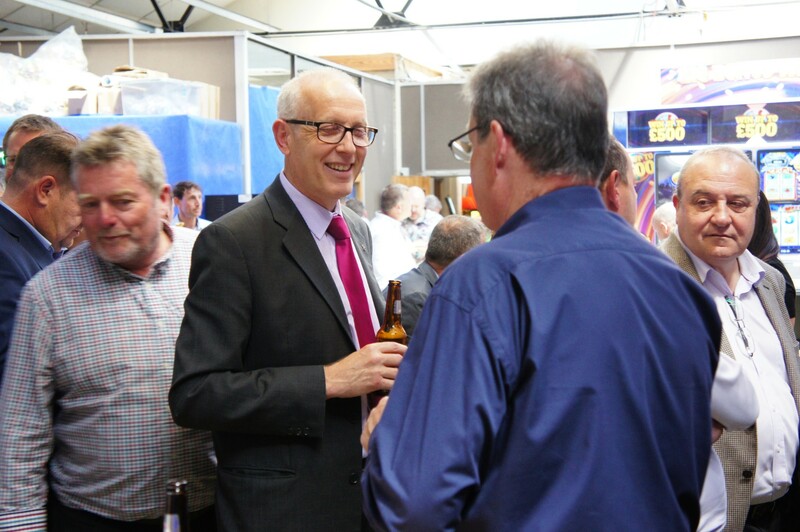 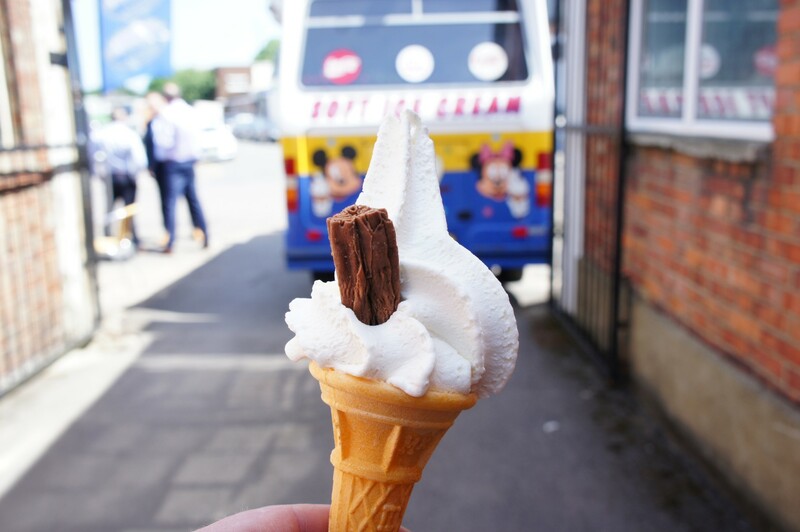 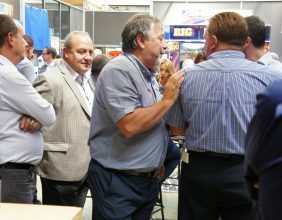 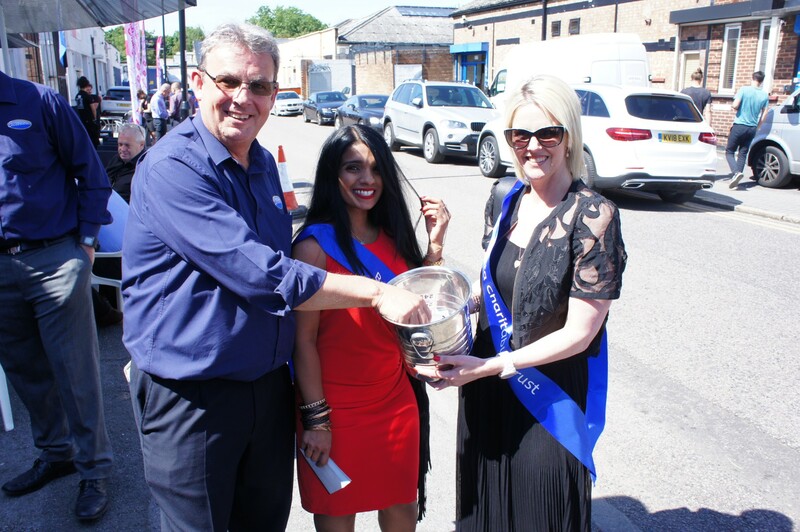 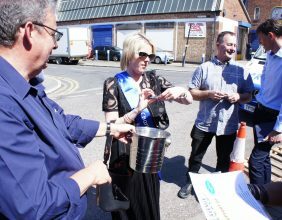 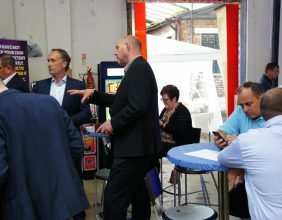 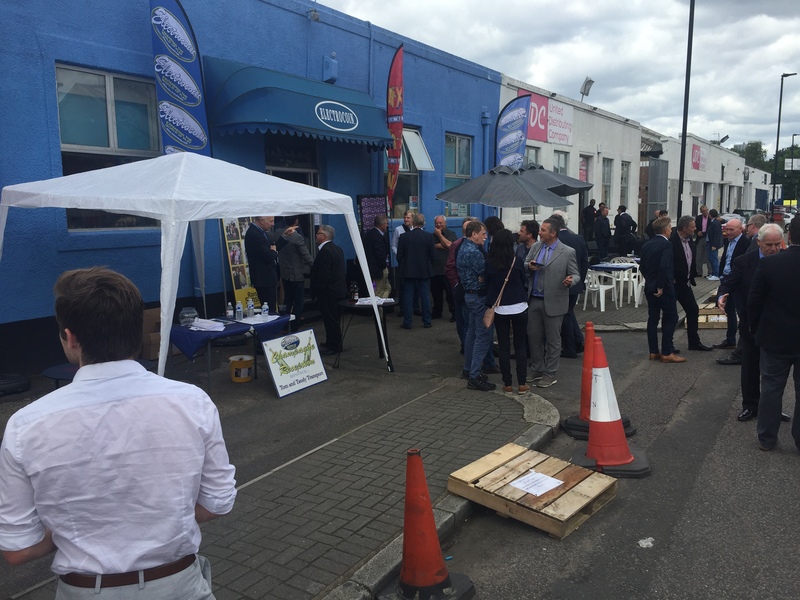 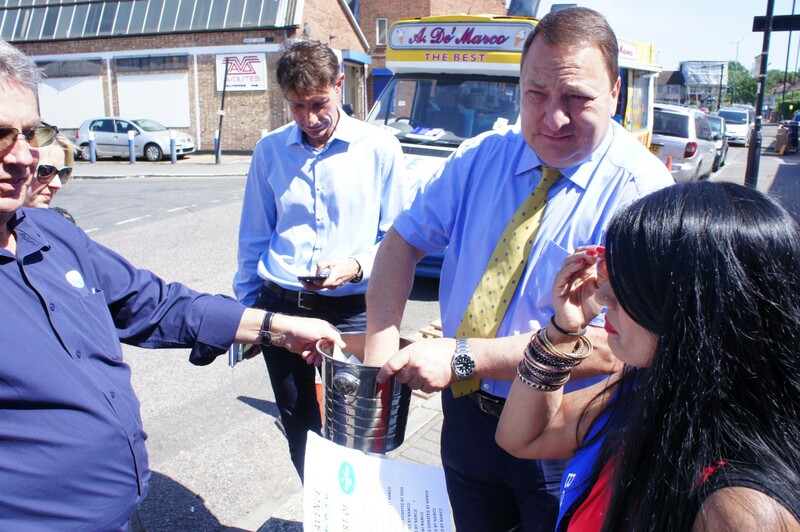 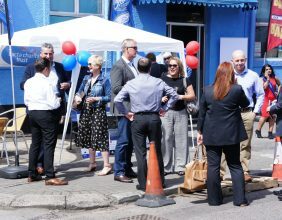 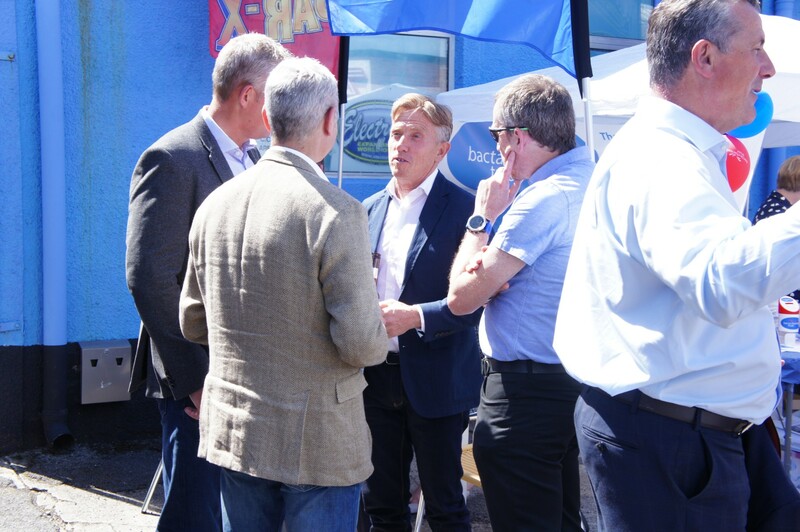 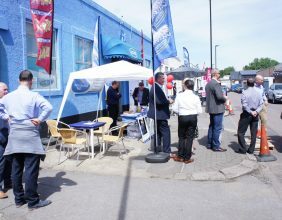 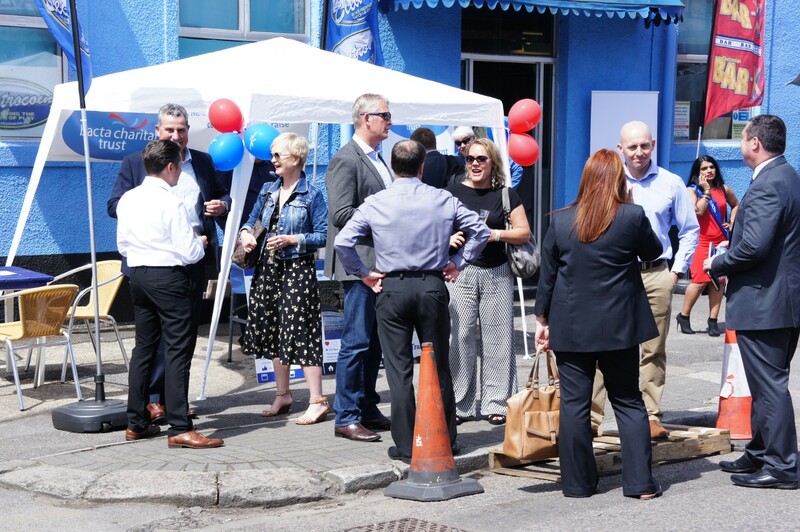 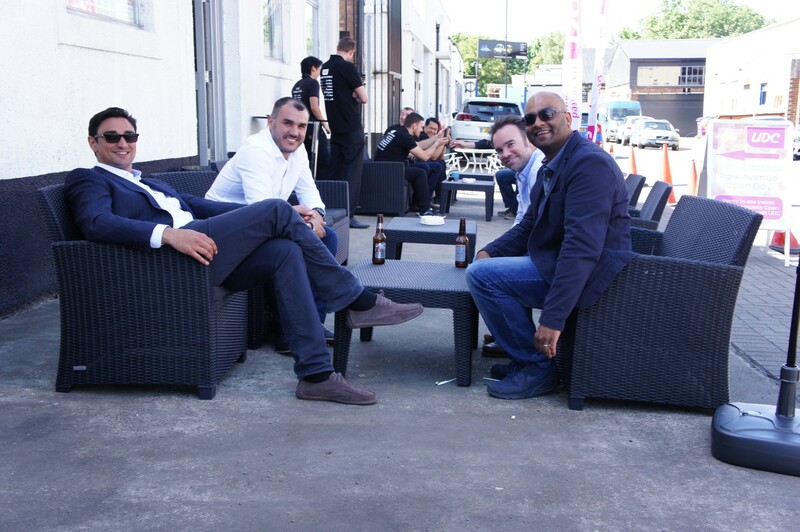 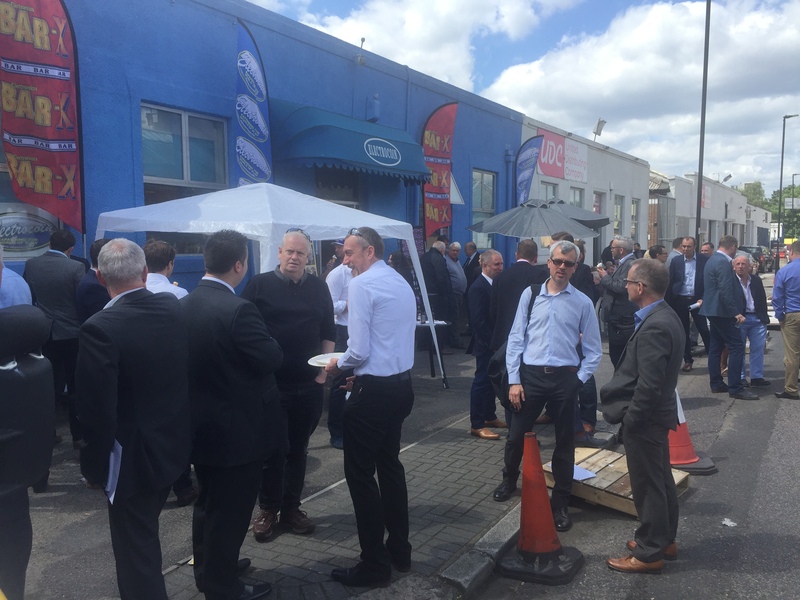 Each company supplied their own refreshment or entertainment and the whole street was buzzing with industry chat. 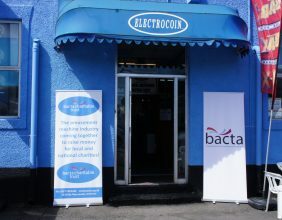 However, one by one, these companies relocated, leaving just Electrocoin and UDC. 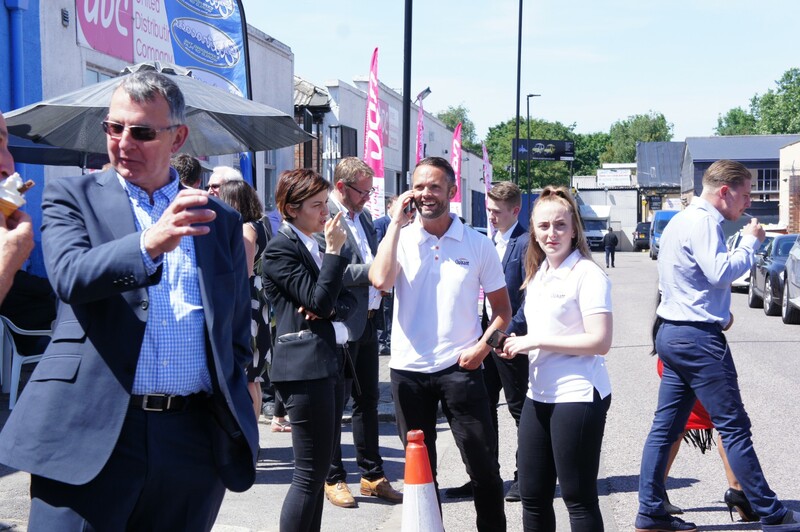 It became clear that in order to keep the event at the level of previous years attendances, we needed to bring companies back to Park Avenue. 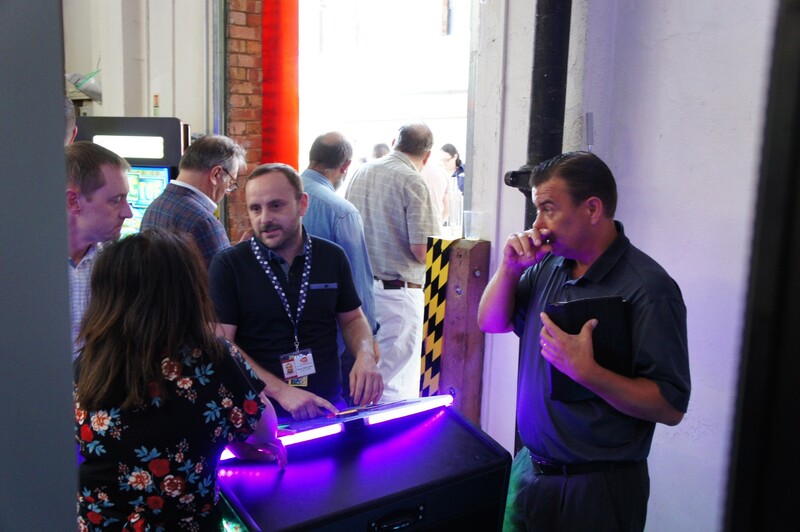 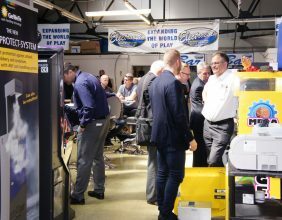 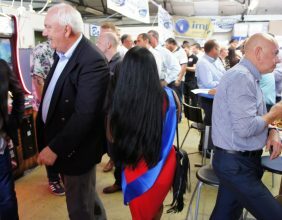 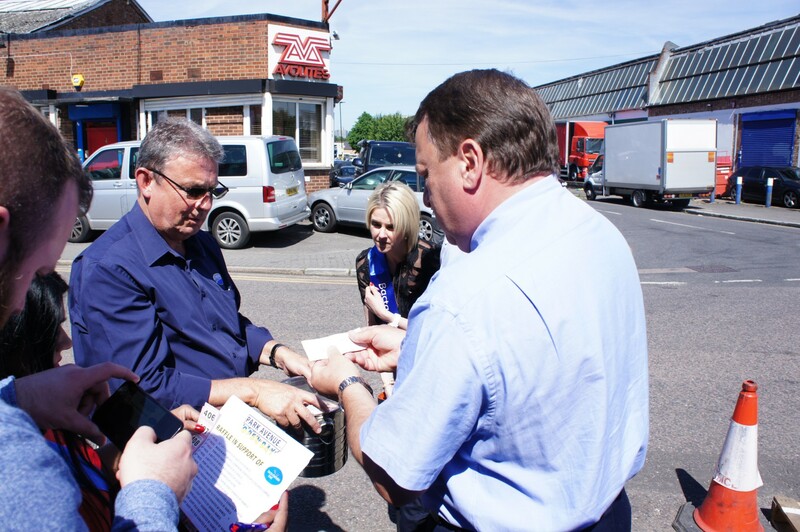 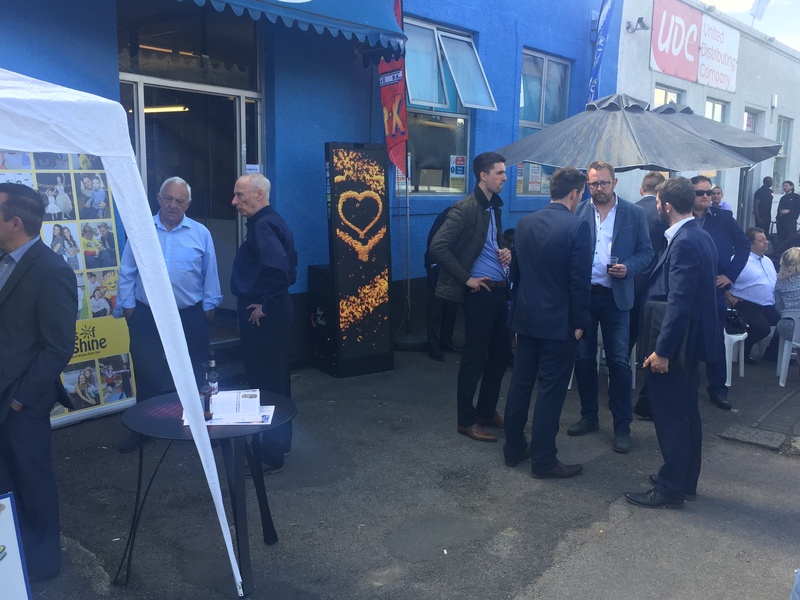 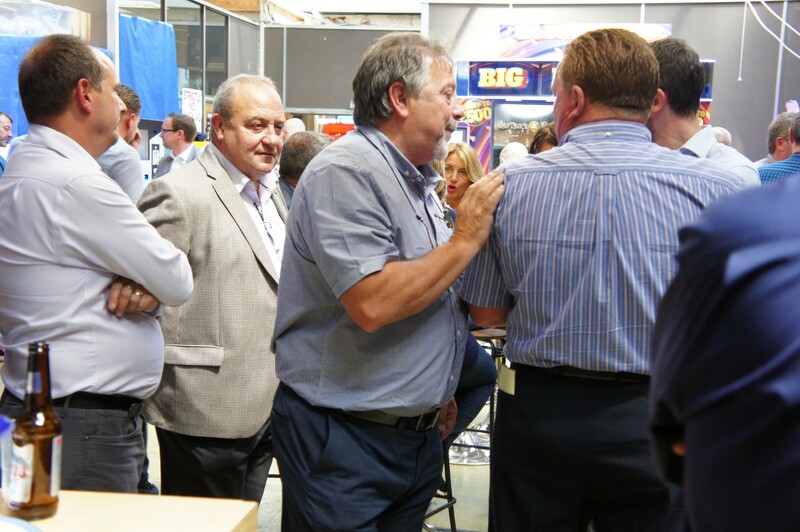 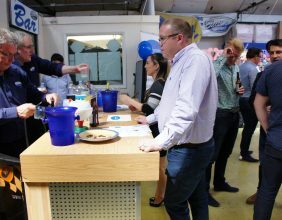 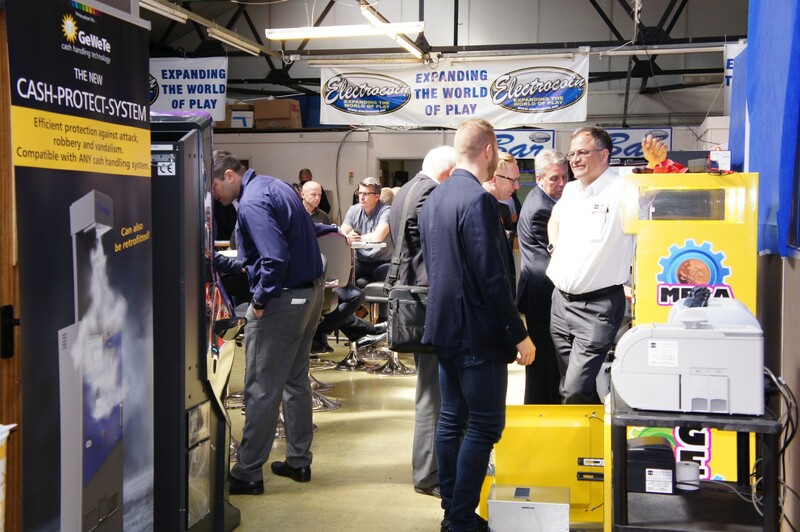 We decided to throw open our warehouse to the Industry at large and invite them to bring their products along to show to our and their guests. 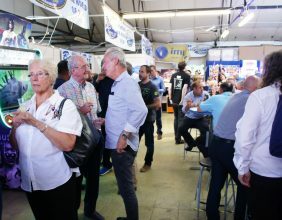 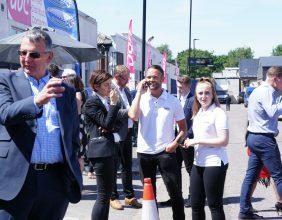 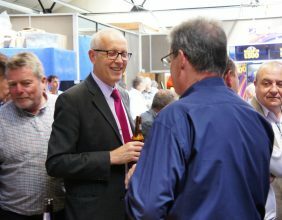 This format has existed now for some 20 years and with up to 30 companies present again this year, it looks set to continue for some time to come. 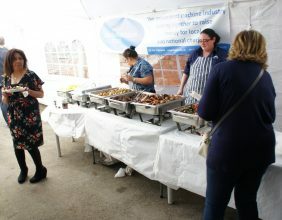 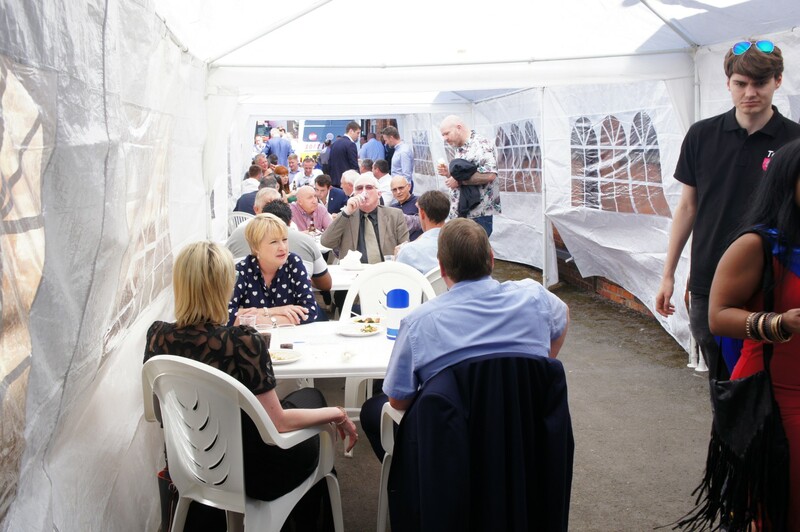 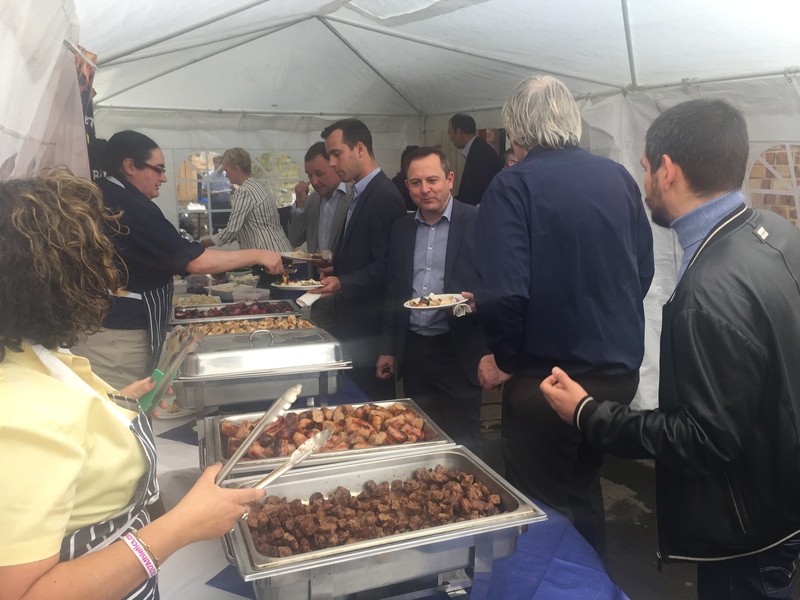 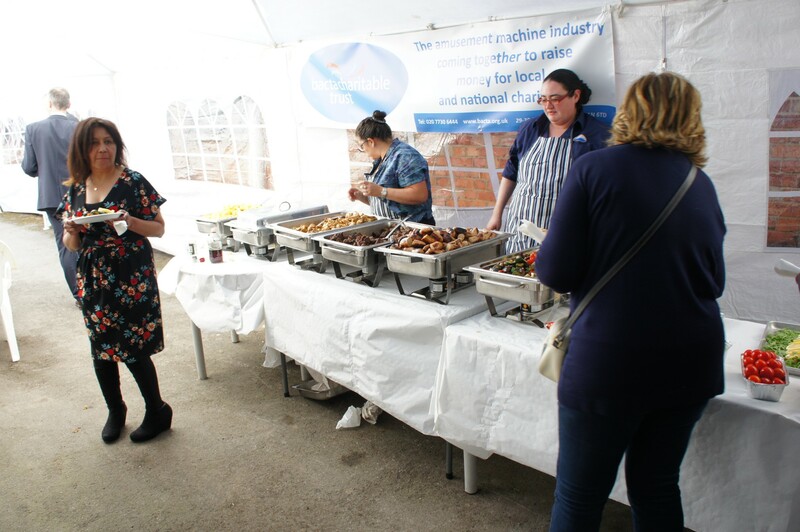 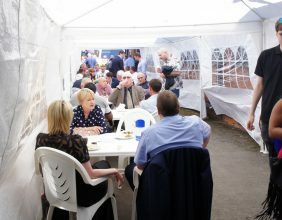 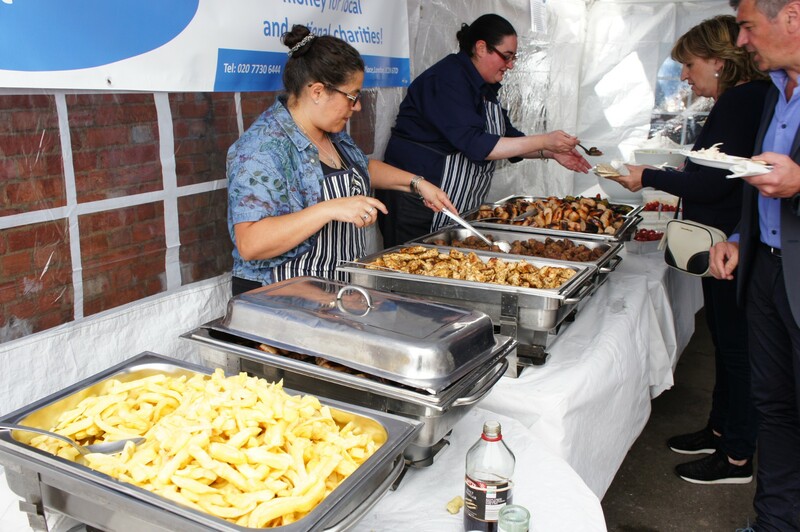 Once again we will welcome guests with a champagne reception in the morning, followed by our famous Greek Barbecue and UDC’s cream tea. 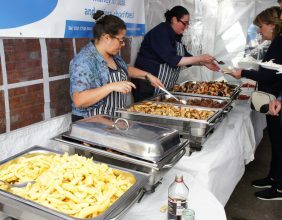 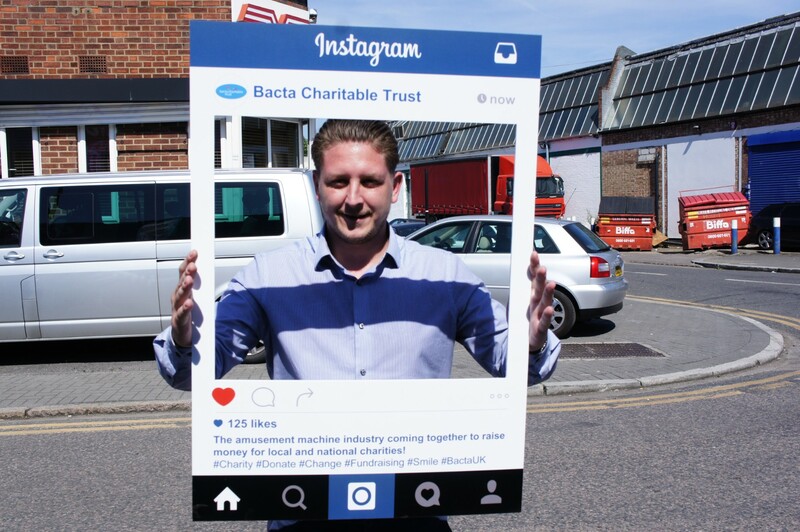 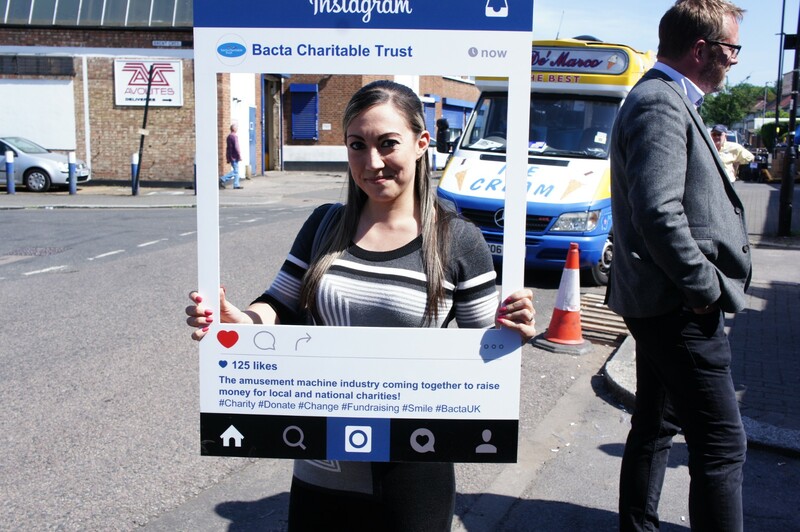 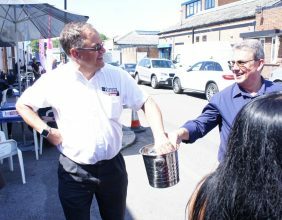 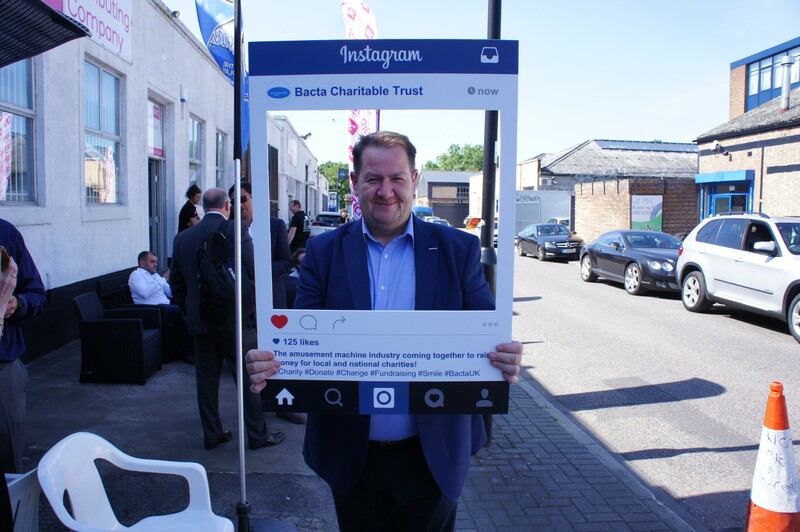 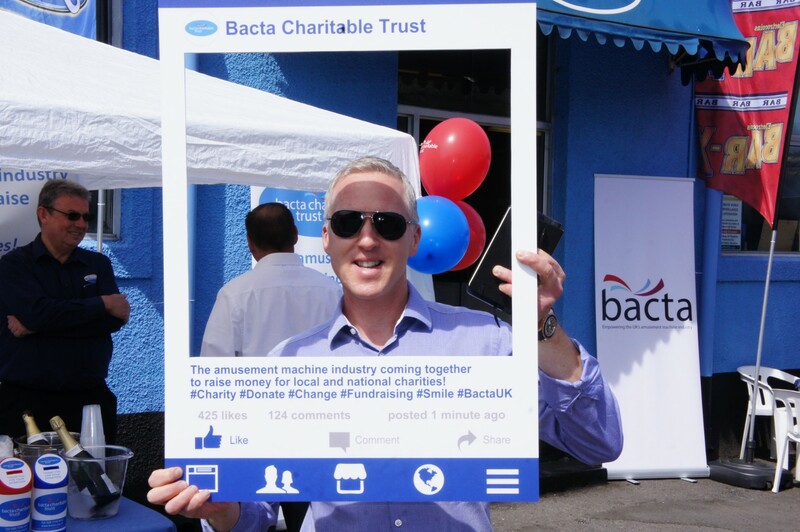 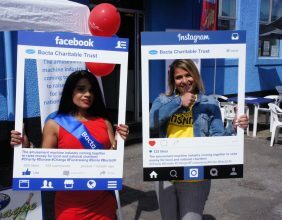 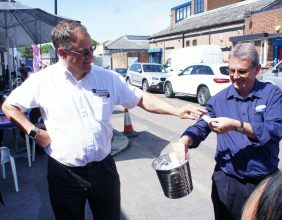 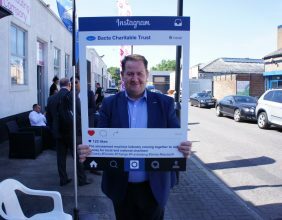 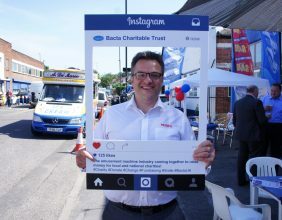 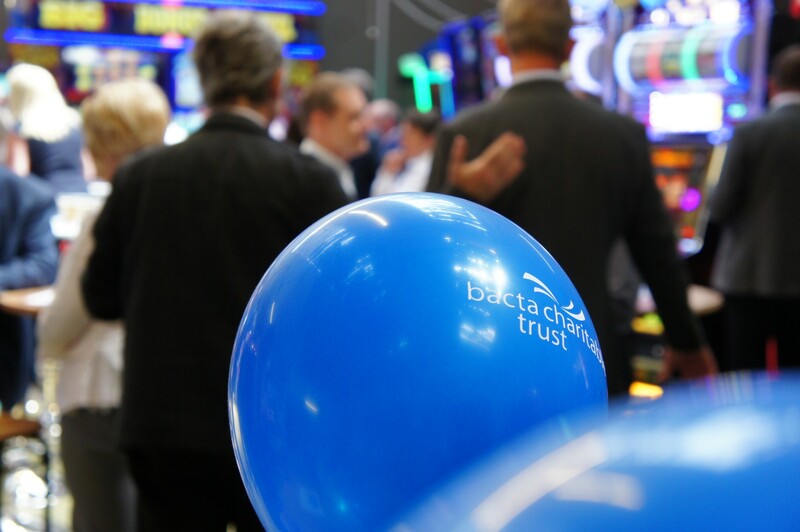 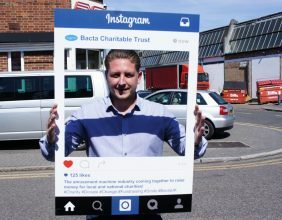 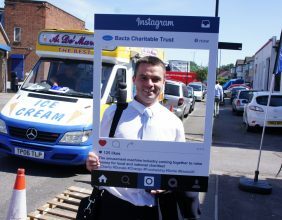 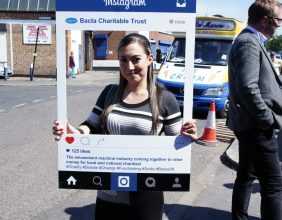 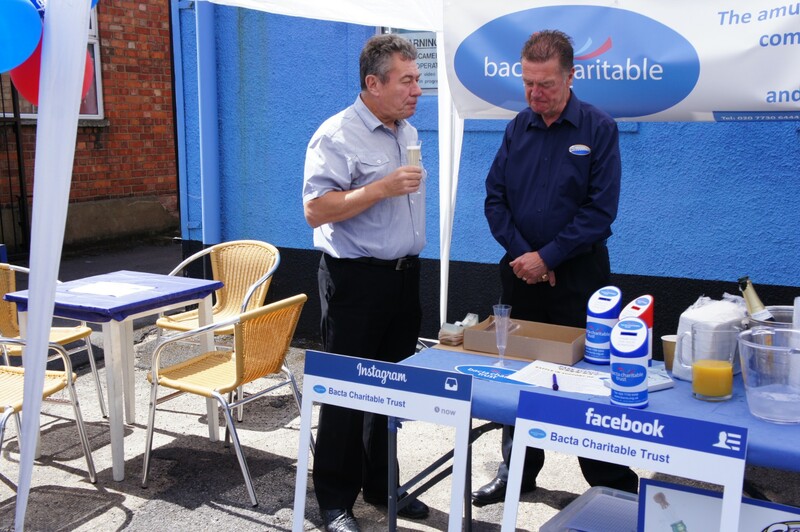 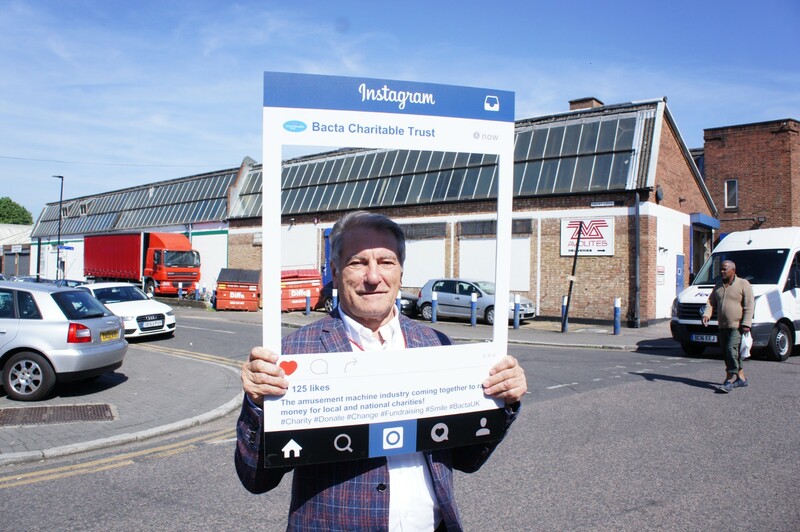 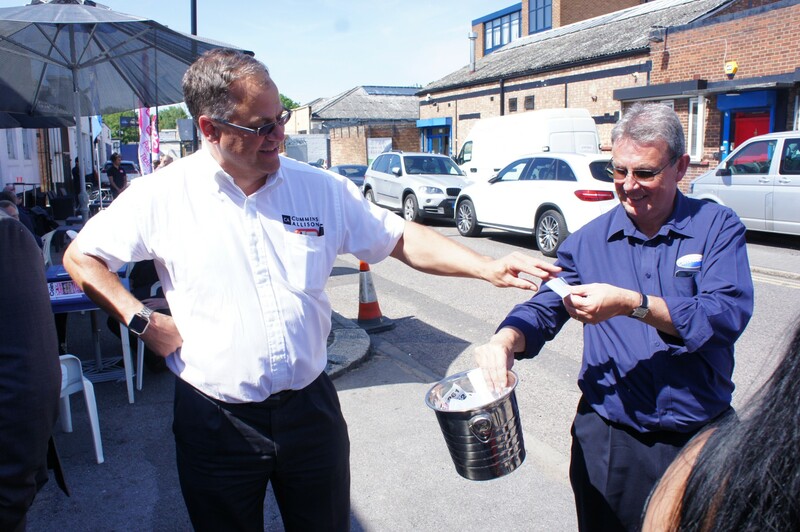 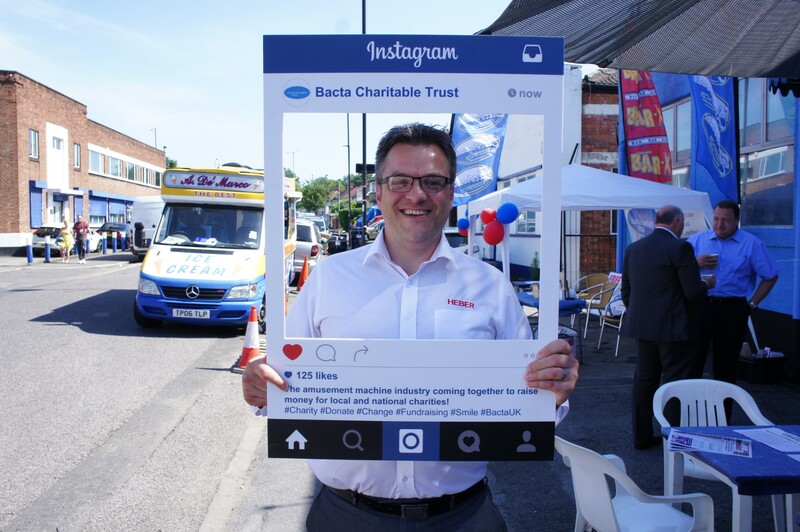 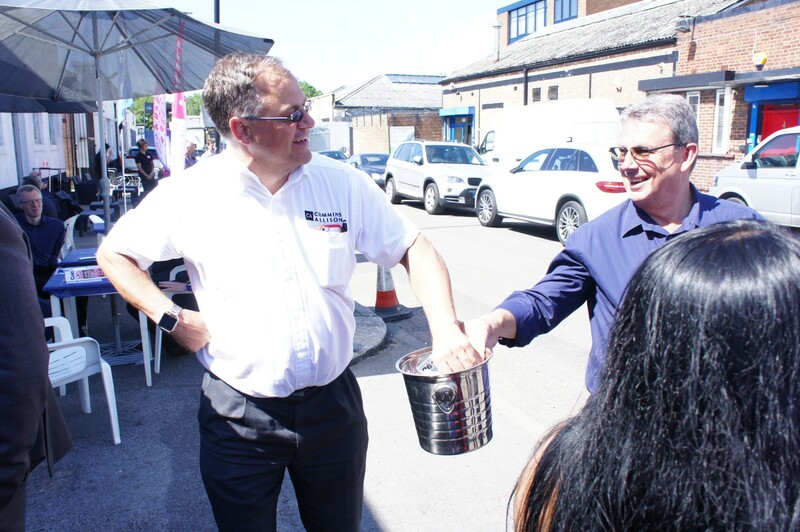 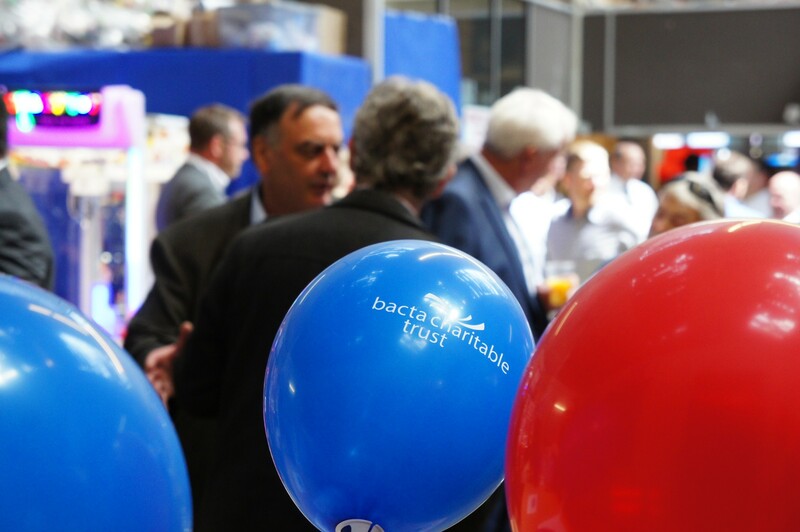 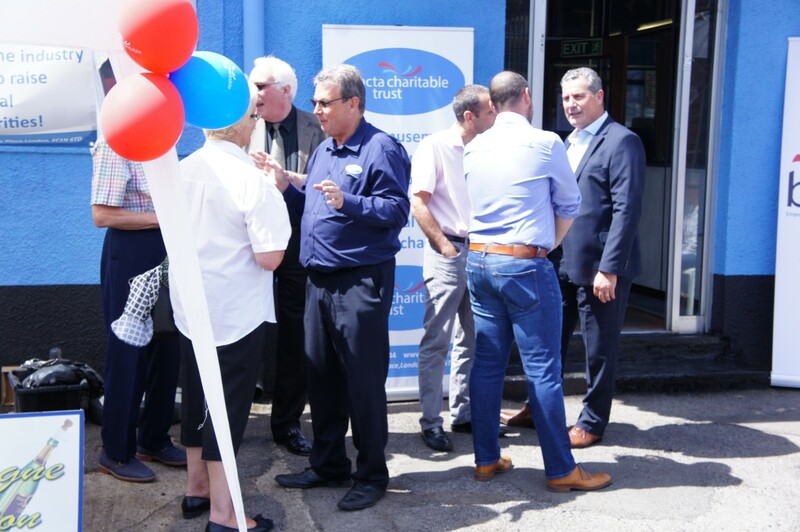 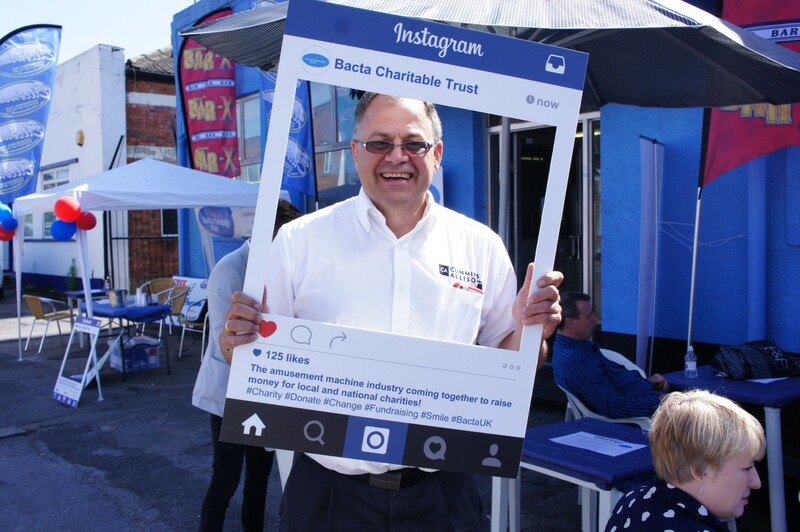 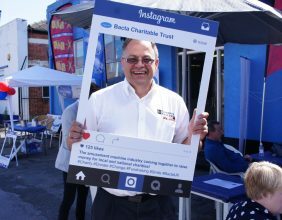 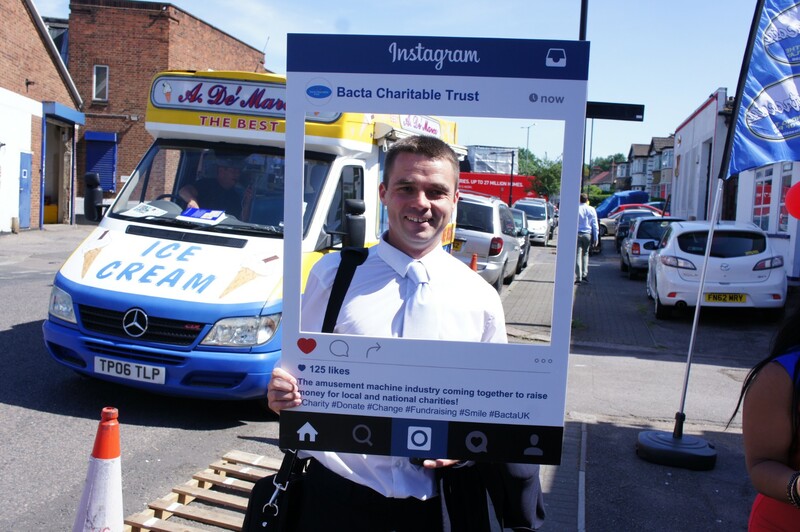 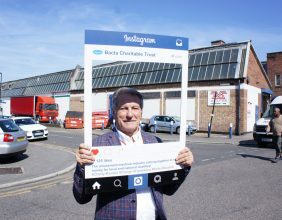 We ask our guest participating companies for a donation to charity for allocating them some space and once again Bacta’s Charitable Trust will be the beneficiary of these donations. 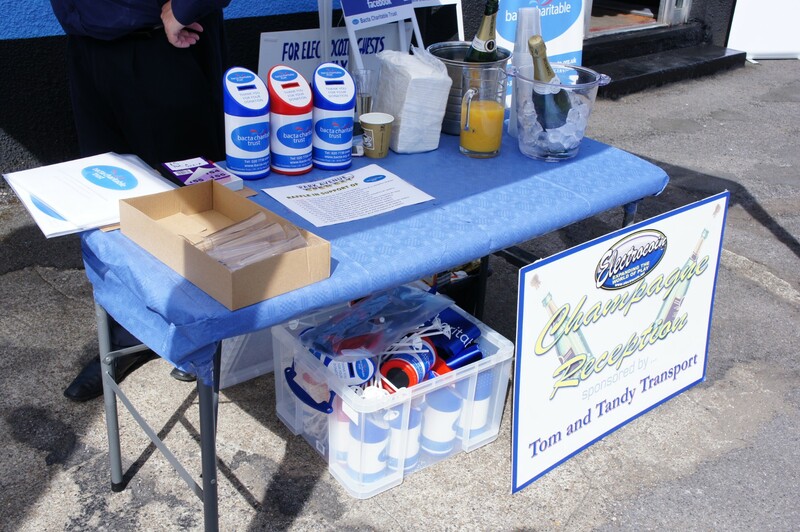 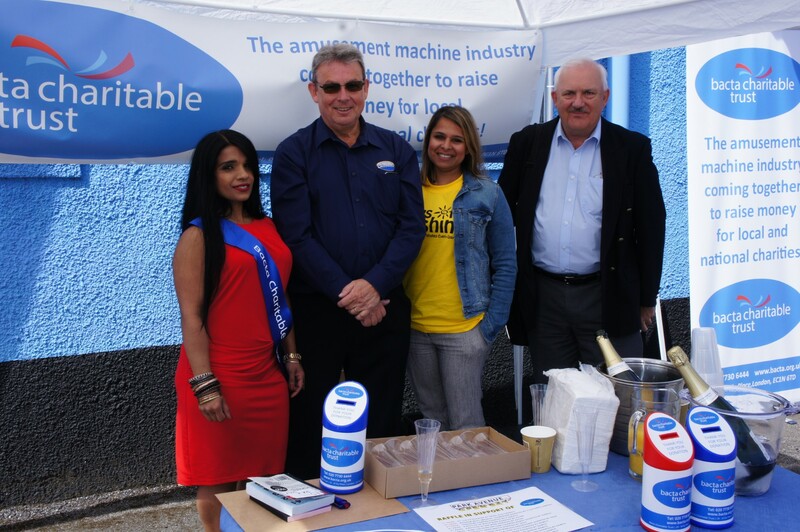 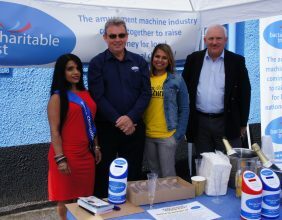 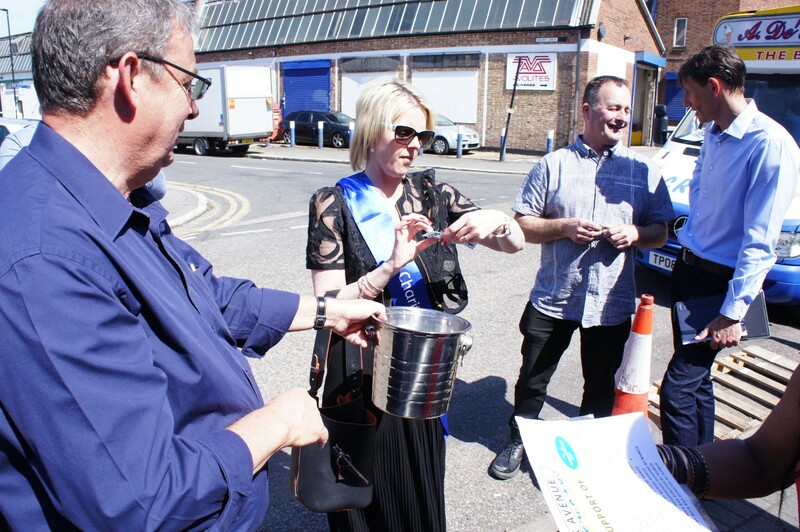 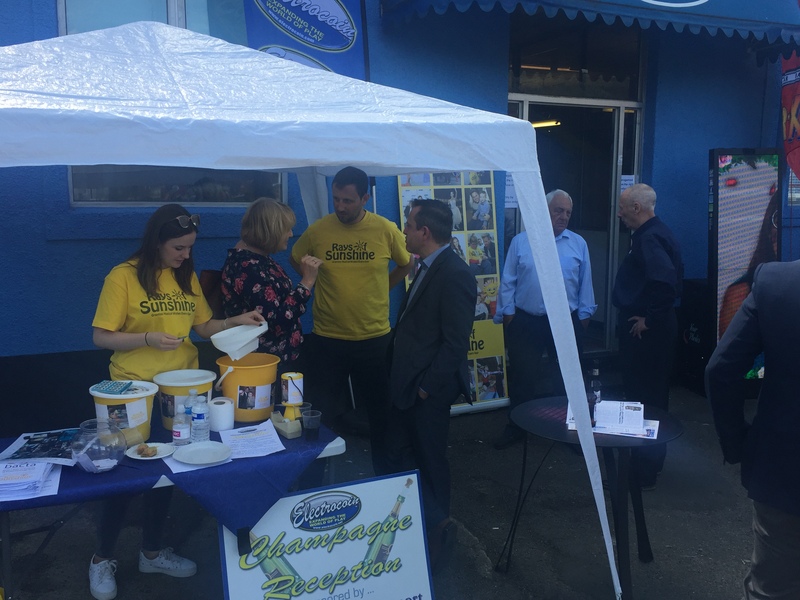 They will also be in attendance on the day raising even more money through a raffle. 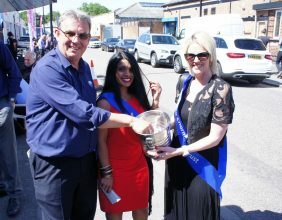 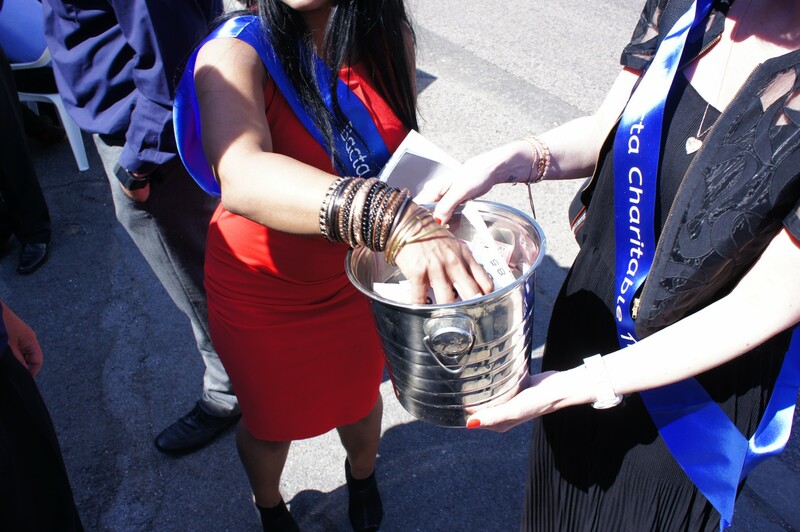 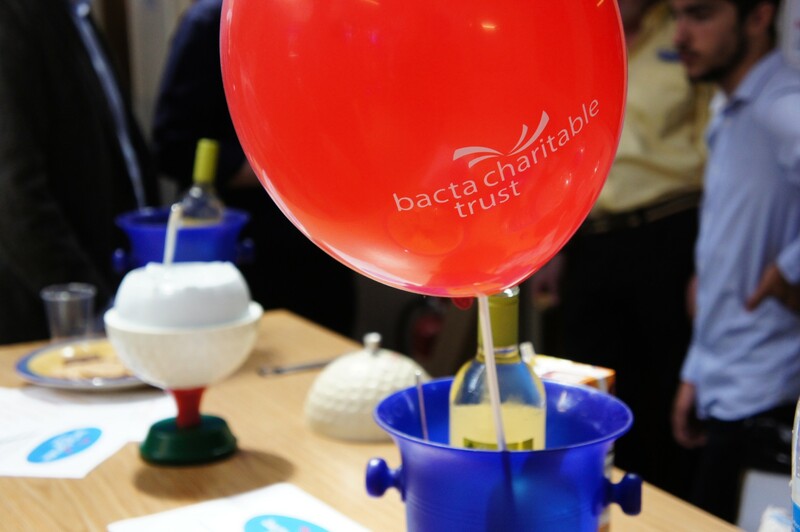 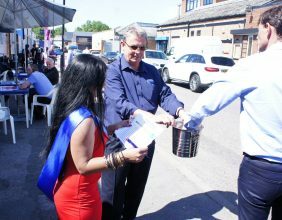 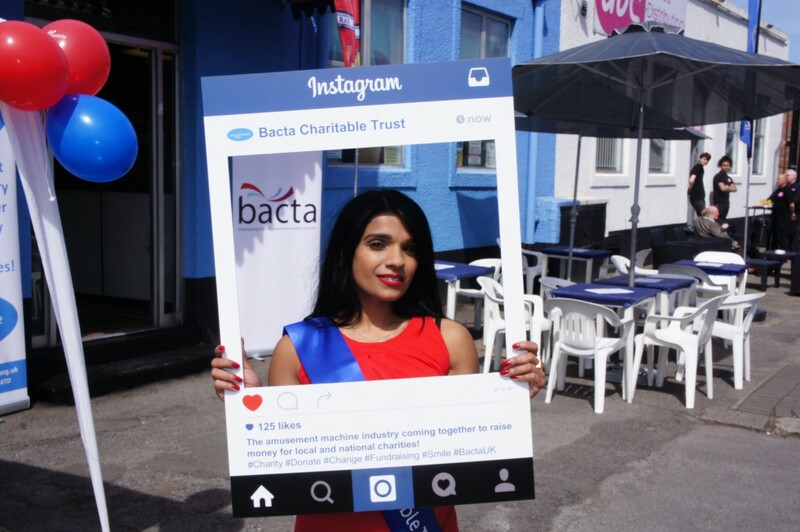 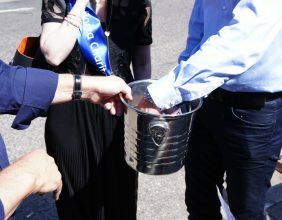 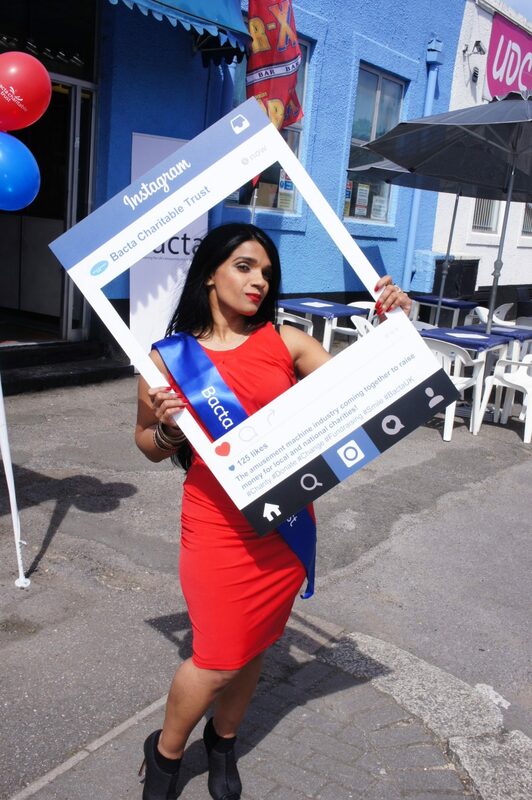 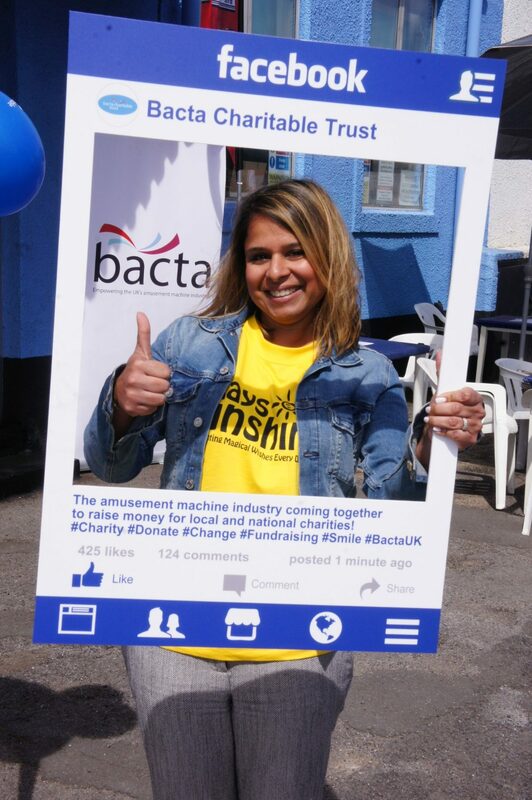 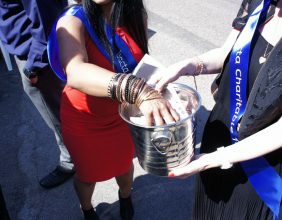 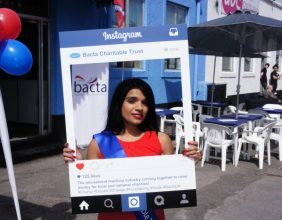 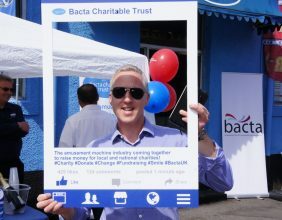 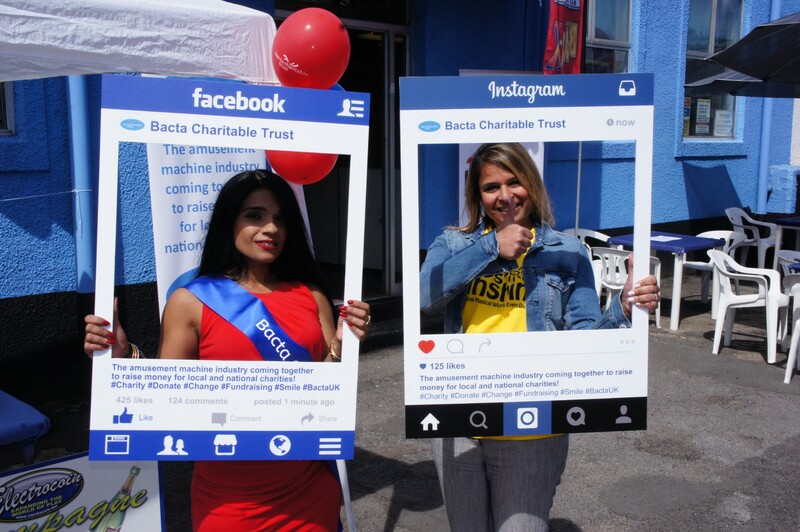 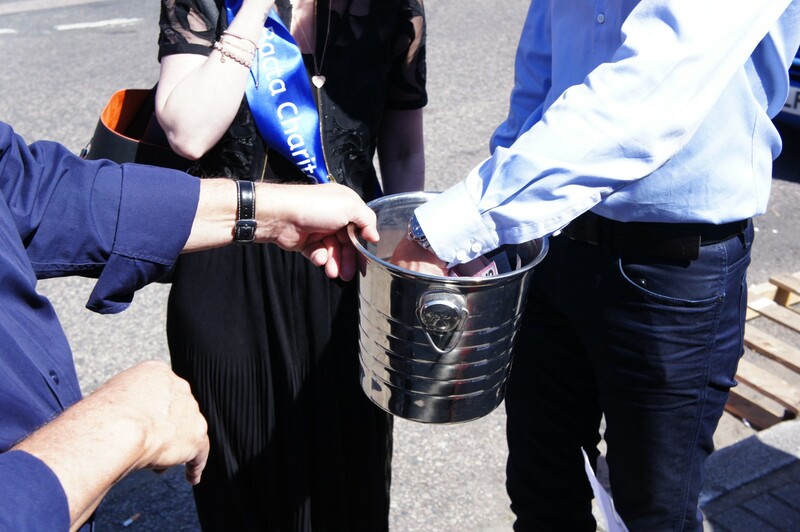 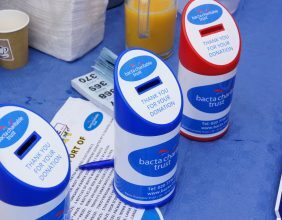 Click Here to donate a prize – all proceeds raised on the day are given to Bactas Charity of choice. 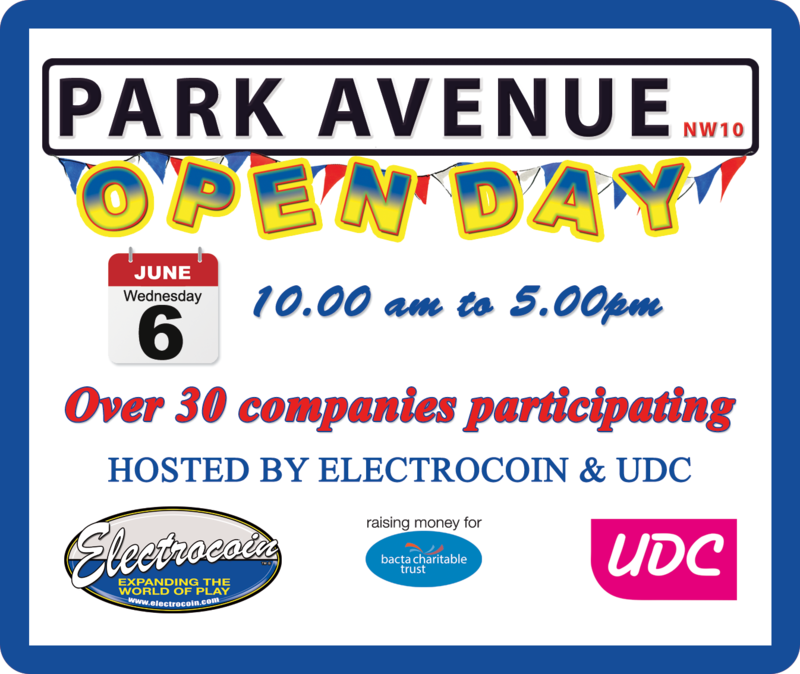 Add the below artwork to your promotional material to let you clients know you are exhibiting at the Park Avenue Open Day. 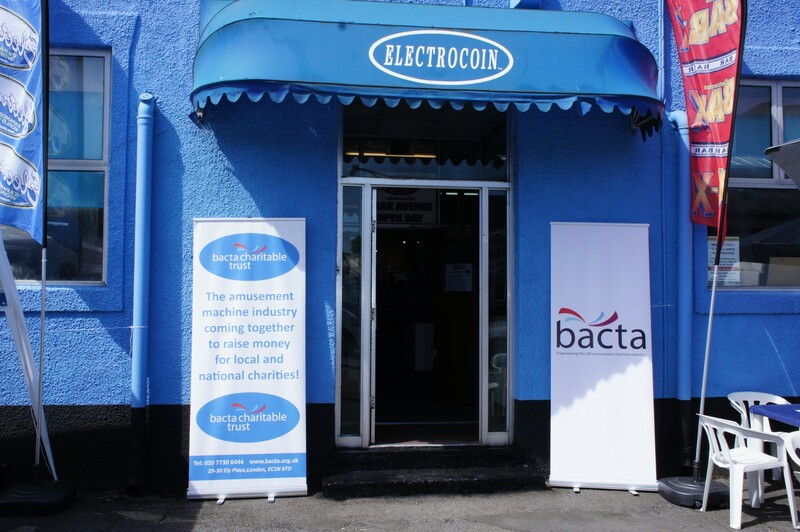 Let your clients know you are in the Electrocoin Building. 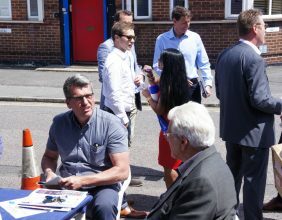 Please see our map that indicates where there is street parking with no restrictions. 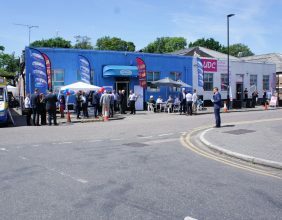 This is a short walk across the footbridge indicated. 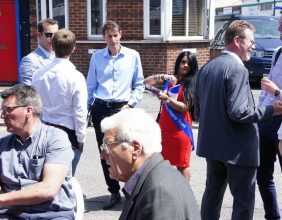 Access to this housing estate is via Carlyon Road which is accessed off Ealing Road. 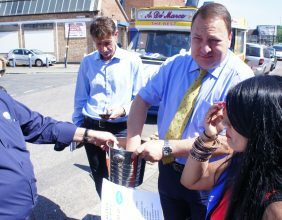 The footbridge is to be found in Queensbury Road HA0 1LR. 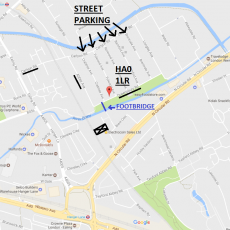 Please see our map that indicates where there is street parking with no restrictions. 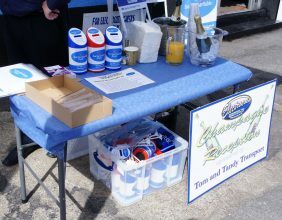 This is a short walk across the footbridge indicated. 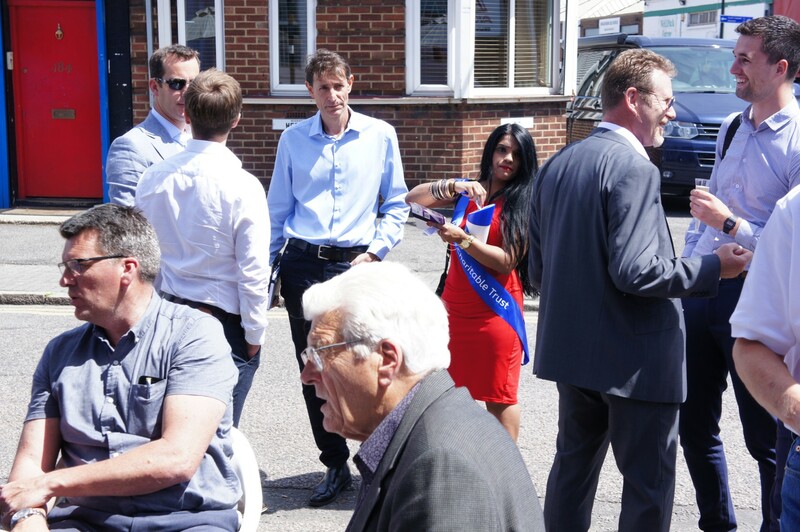 Access to this housing estate is via Carlyon Road which is accessed off Ealing Road. 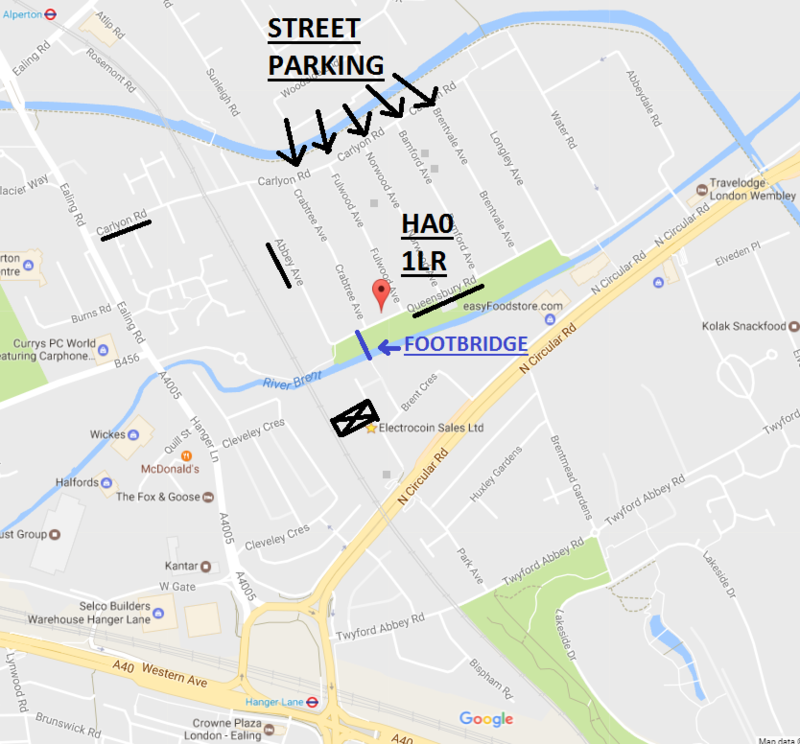 The footbridge is to be found in Queensbury Road HA0 1LR.